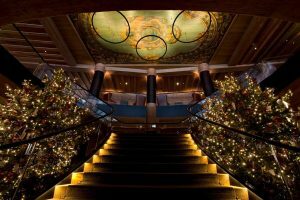 I’ve been desperately waiting for this trip and honestly, it’s one of our most beloved journeys ever. The idea to drive to Southern France has been in our heads since a while and finally we made it to this tremendous place. It’s been years I visited and even more I felt in love with the region. 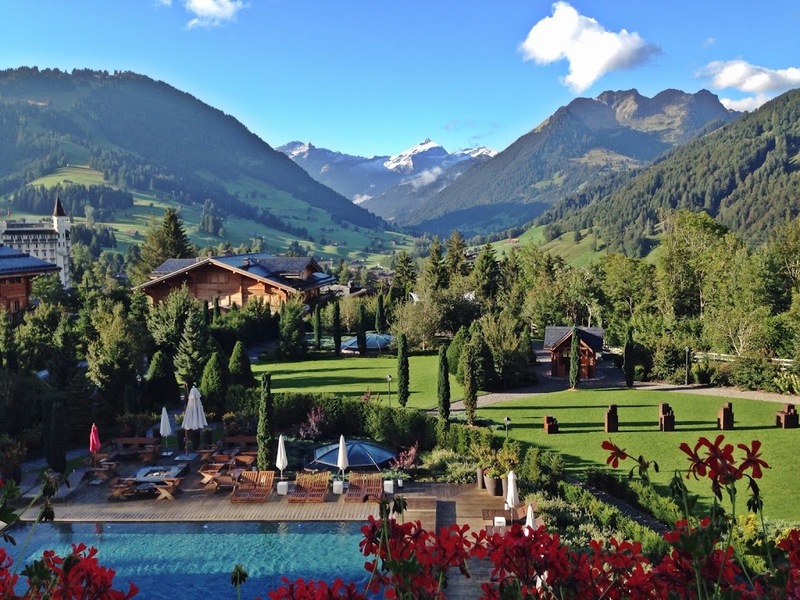 It takes you 7 hours from Zürich and you’re in the middle of paradise. Endless fields of lavender and rosemary are turning this place into an absolute fairytale. Provence seems to be the garden of Eden. Oleander, jasmine and roses cover the walls, houses and gardens. The food is beyond belief: organic meat with fresh spices, huge tomatoes and onions. A joy for every hedonist. 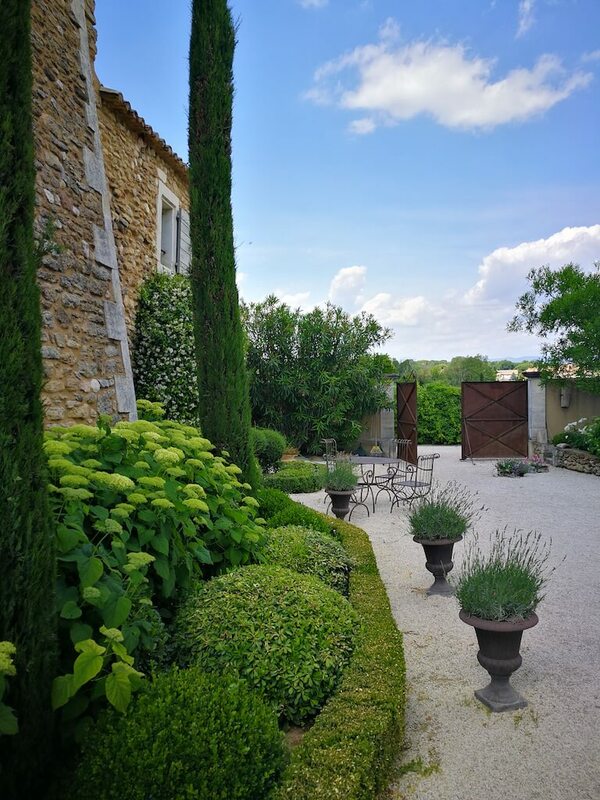 Provence is of course a very big wine region, so you have plenty of castles and wineyards to visit – a must-do for every wine lover. 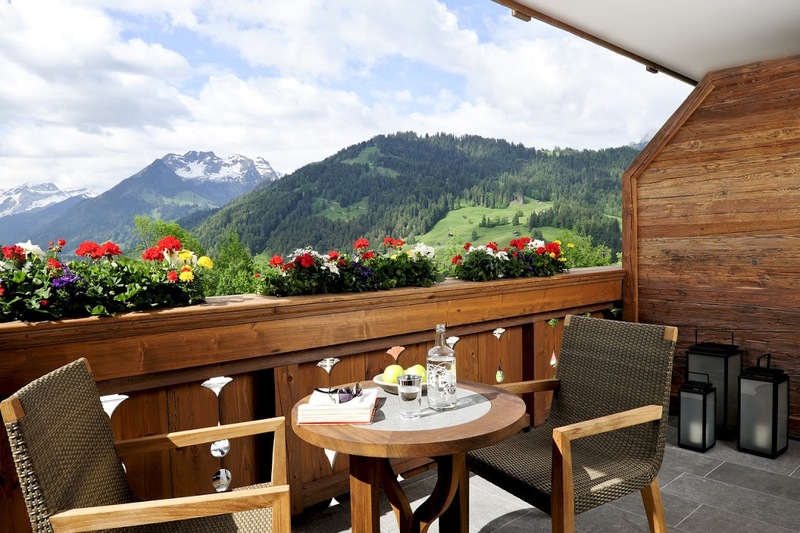 During the night, the windows were open and the wind carried the scent of flowers into your room – incredible. 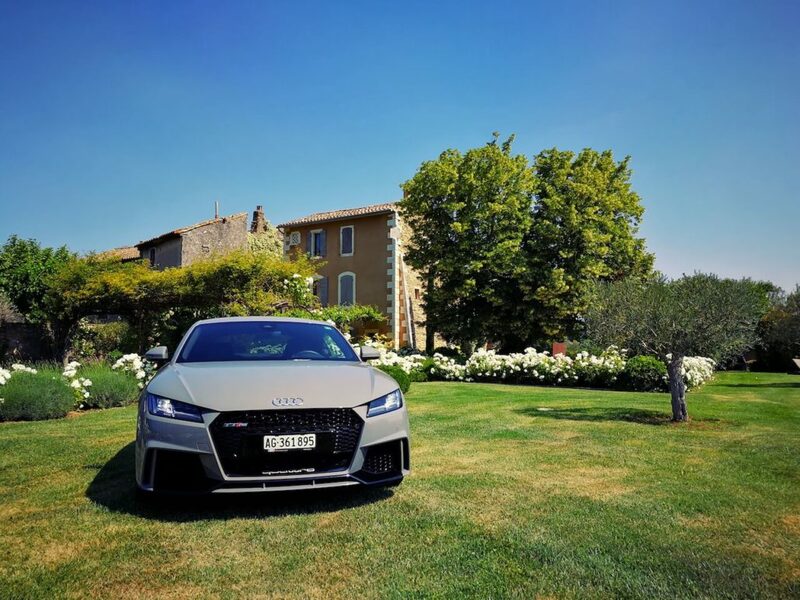 Audi TT RS – Have The Germans Fulfilled The Sports Car DNA? Honestly, I didn’t like the former model of the Audi TT that much. But in 2016, the Germans presented the new Audi TT RS at the Beijing Motorshow which turned up my excitement. I kind of expected it will be fun to corner it amongst the roads of Southern France – but it’s much cooler than I expected. Yeah, the design was probably the aspect I didn’t like that much about the old version of the TT. But this little beast, looks way sharper than its predecessor. An aggressive yet beefy front, bigger air ducts, a deep spoiler are giving the Audi TT RS a more masculine look. Further, the new TT RS comes up with more shapes and edges, aluminium and carbon fibre elements – super sharp! Most likely, you will hear surprising figures now. It’s runs from 0-100 within 3,7 seconds- that’s what you almost expect from a supercar! The 5 cylinder engine delivers 400 bhp and 480 Nm of torque, that’s 60 hp more than the former model. The exhaust noise is superbly crisp and delivers the sports car DNA. But what makes the Audi TT RS so fast and agile? So, guess what’s the most fun? Exactly: a mountain pass. That’s pretty interesting now, I will drive the Porsche Carrera GTS today. It has 50(!) hp more, comes up with 550nm torque and it’s just a very little more heavy. But still it takes the same amount of time from 0-100? By the numbers, the Porsche should be quicker, but I have to admit: I have absolutely no idea why it’s the same result. Hopefully the Porsche team can explain it to me today. I’ll keep you posted. We talked a bit about the design, but you know what I love the most about this particular model? Its colour. The colour is called ‘Nardogrey’ – but at the end of the day it simply looks like a grey you’re expecting from a material called concrete. Huge thumbs up! Another bravo here and trust me, the interior delivers a lot of value for its price. The air vents look really cool! 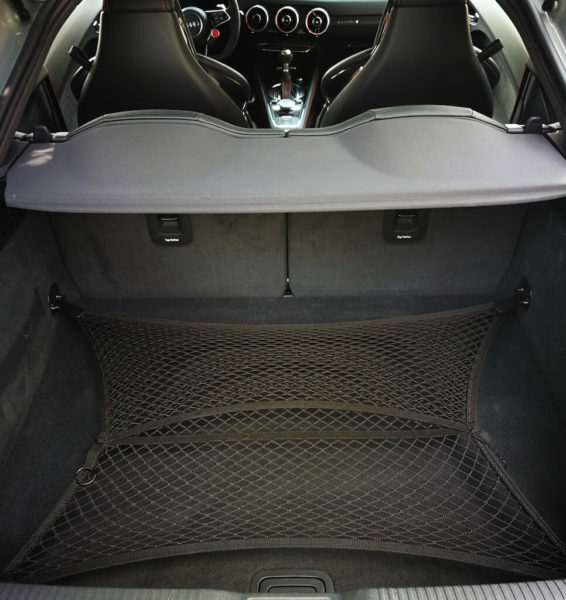 There is a net in the boot to fix the stuf in there – how good is that? The seats are super comfortable, even after driving for 10 hours you’re still perfectly comfy in those seats! However, I found two disadvantages. I’m 6’4 tall, my hand was touching the steering wheel when cornering. Not sure if the car is made for people taller than me. What’s the price and am I happy? The Audi TT RS Coupé you’re seeing here is 100 grand, that is 50k less than its competitor the Porsche Carrera GTS. Pretty big amount to be honest, again I’m excited to hear why. And yes, I’m very happy and Audi managed to make me a TT lover. Also, there is a lot of love from pedestrians, I have not expected that! 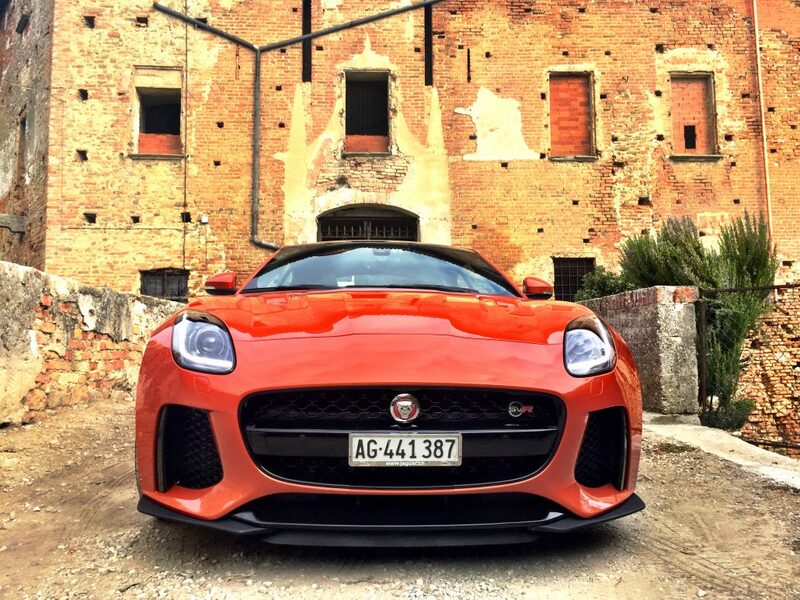 Jaguar F-Type SVR – Hell Of A Ride! Mephisto has interesting quote in Goethe’s Faust that somehow reminds me of the Jaguar F-Type SVR. ‘Twere better then that nothing were begun. That is my own, real element. 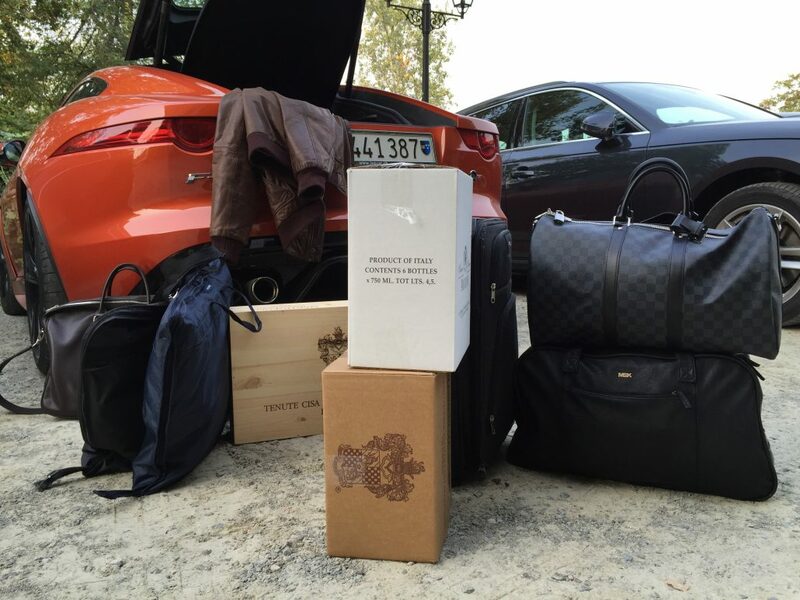 No question, the F-Type belongs to my favorite cars since I drove it up to Gstaad. Already the F-Type S is a lot of fun and still one of the sexiest cars ever. But now Jaguar tops it again. 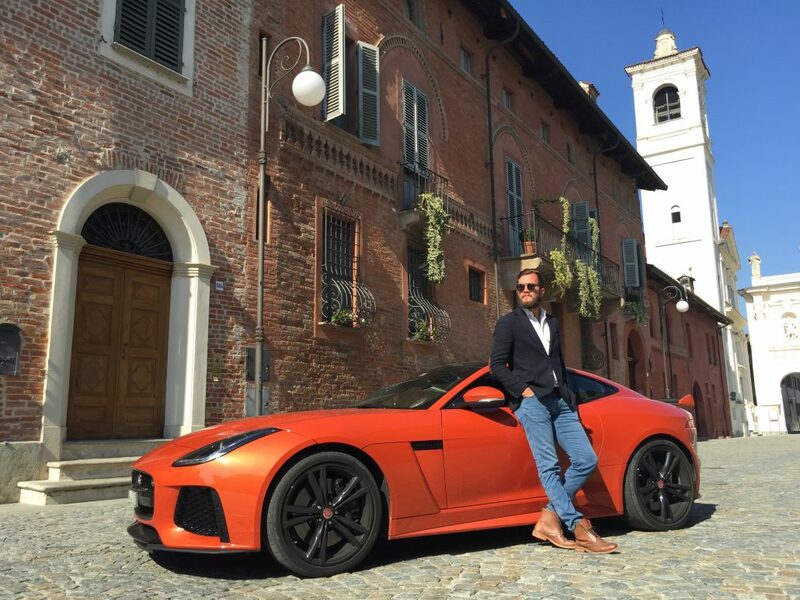 Lately, Jag presented their yet fastest series model in history, the Jaguar F-Type SVR. It’s 50 Kg lighter, 25hp have been added and the exhaust noise just leaves you numb after a tunnel. In figures? 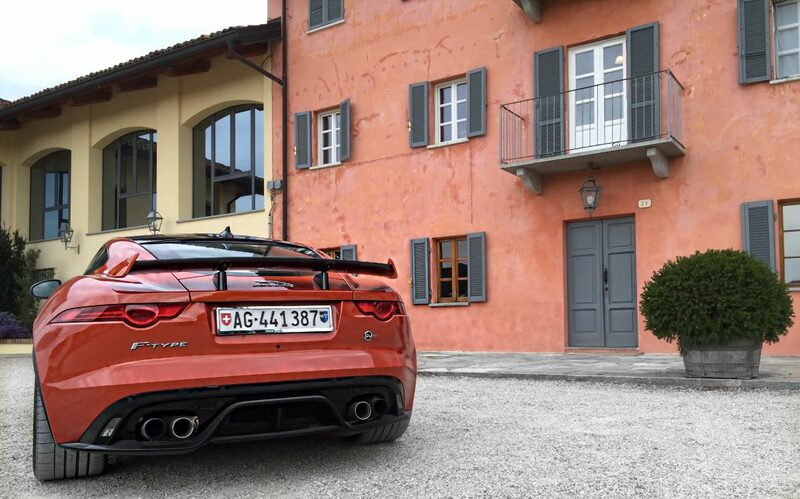 The F-Type SVR contains a supercharged 5.0 litre V8 that produces 575bhp and 700nm of torque. That throws you from 0 – 100km/h in only 3,7 seconds with an earsplitting exhaust noise, I love this car! The barking F-Type is fantastic to drive. The brakes have been adjusted, the eight-speed gearbox revised which turns the driving experience into a gentleman’s dream. The cat-like look with the fancy air-ducts and the aggressive spoiler is just tremendous. 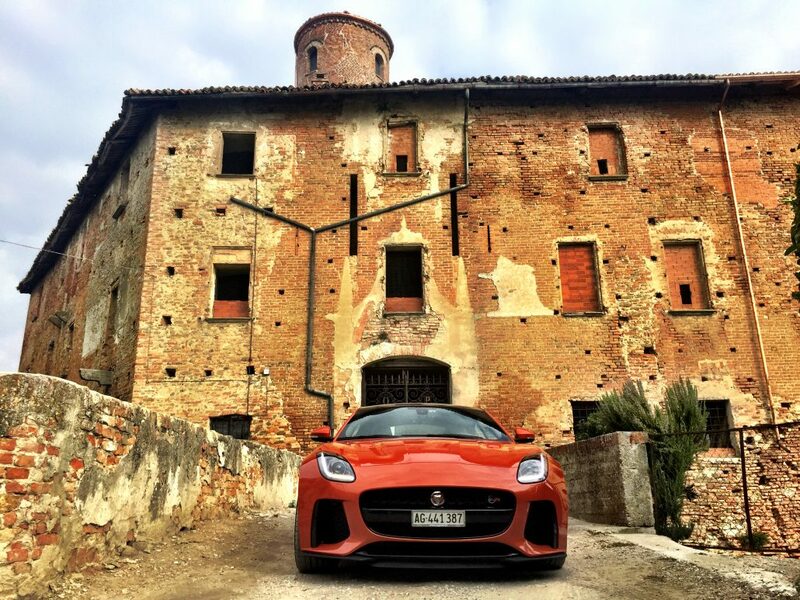 I’m glad to tell you, it’s super comfy to drive on holiday with the F-Type SVR. 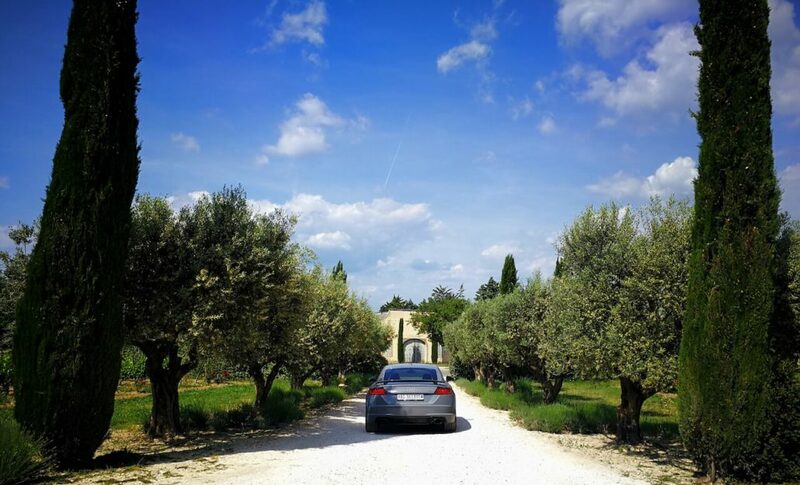 The coupé version provides enough space to spend a week in Italy (including wine shopping, luggage for two people). 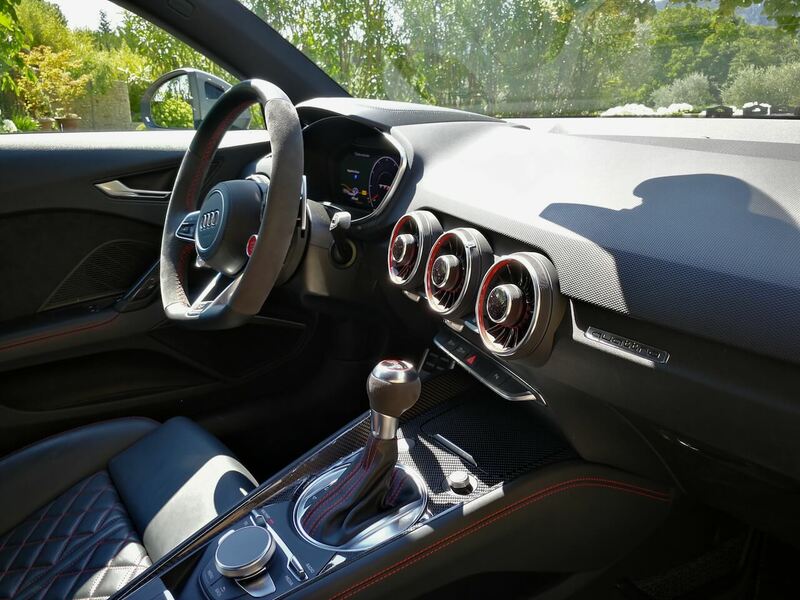 The seats are very convenient and the car comes up with more options than you find in a usual sports car. Seat heating, cruise control, rear view cam, parking sensors, sat nav, a super entertainment and many more fancy options. What a dream to drive through a region like the Piemonte. Vineyards where ever you look at, the alps in the background and you’re cruising with this fire spitting car. We had such a wonderful time and really enough space for a week of holiday. 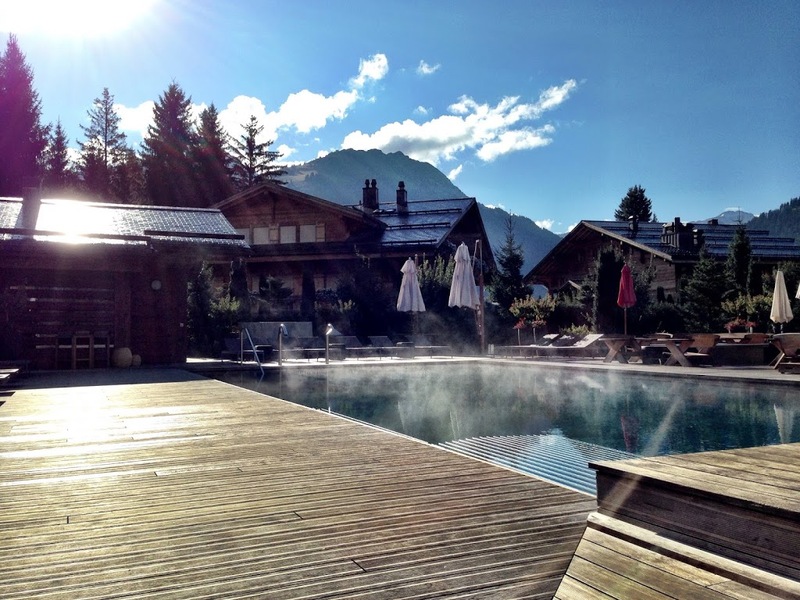 Besides… check out our Hotel recommendation. We keep going to this amazing place. 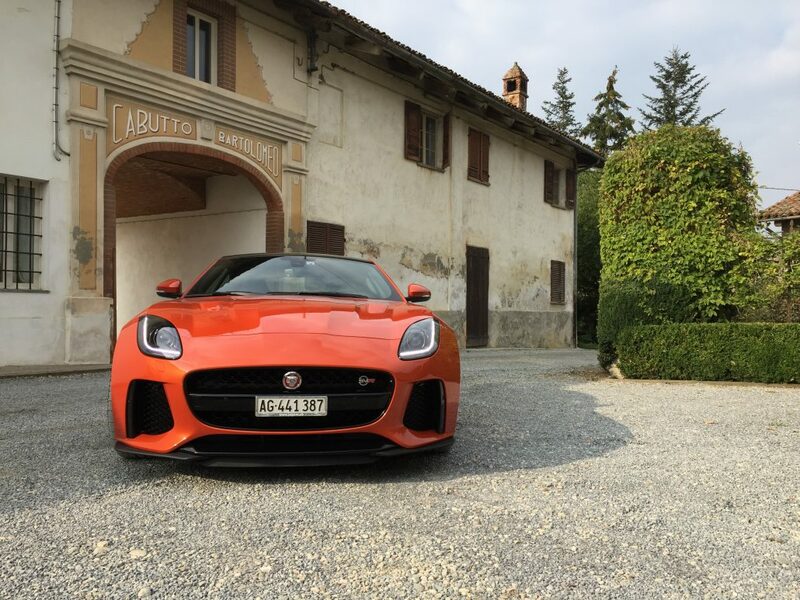 https://agentlemans.world/wp-content/uploads/2016/11/Jaguar-F-Type-SVR.jpeg 1383 2102 Ralph Widmer //media.agentlemans.world/2017/01/agw-logo-605.png Ralph Widmer2016-11-01 13:16:012018-05-17 12:07:19Jaguar F-Type SVR - Hell Of A Ride! “Get out of my way”. This is what Lexus RC F seems to say when you catch a glimpse of it from your rare view mirror. This aggressive-looking car is enough to get you to move over. Designed with a domed hood, a deeper grille, flared fenders, distinctive fascias, and cooling ducts, the RC F turns into an angry-looking car on the roads. 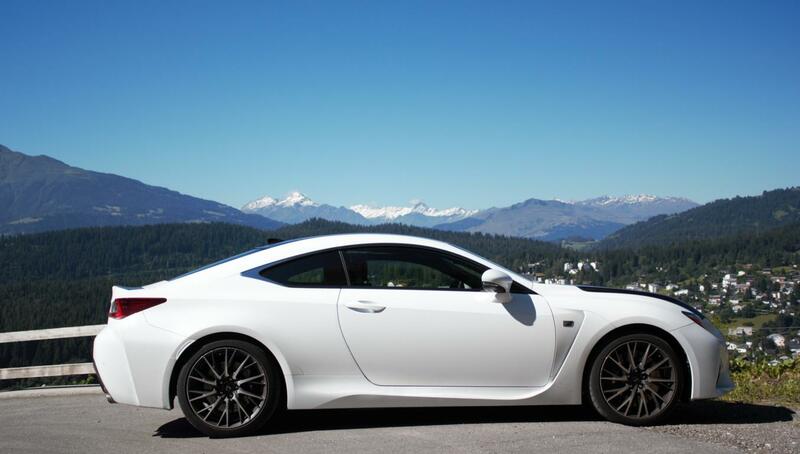 Lexus RC F is a high-performance two-door coupe. The rear drive beast is powered by a 5.0-liter V-8, rated at 467hp and 389 lb-ft of torque. This is paired with an eight-speed automatic transmission. 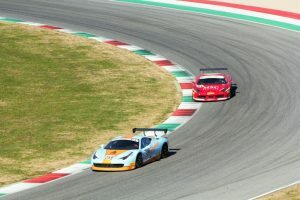 Being a very powerful sportscar, the moderate fuel consumption should be appreciated. The Lexus RC F contains unique gearbox maps with variable drive modes. 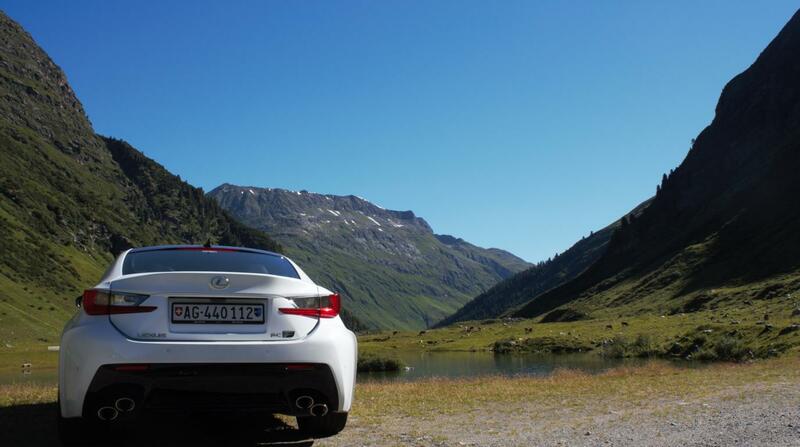 – This combined with the pleasant comfort and the V-8 power makes the drive more than worthwhile. Another striking feature of this car is that the engine has two very different characters – it is capable of being ultra-smooth and quiet at low revs, and it also has competence of bursting into an energetic mid-range with increase in intensity and volume right up to its red line north of 7,000 rpm. The engine sounds fantastic and the well-tuned suspension handles 19-inch wheels with great ease. To help make the parking easier, technologies like a reverse camera, proximity sensors and rear cross traffic alert system warn the driver ahead or on either side. All that you need to ensure while parking the car is that you have enough space for the wide doors to open. The weight is one of the most noticeable issues. 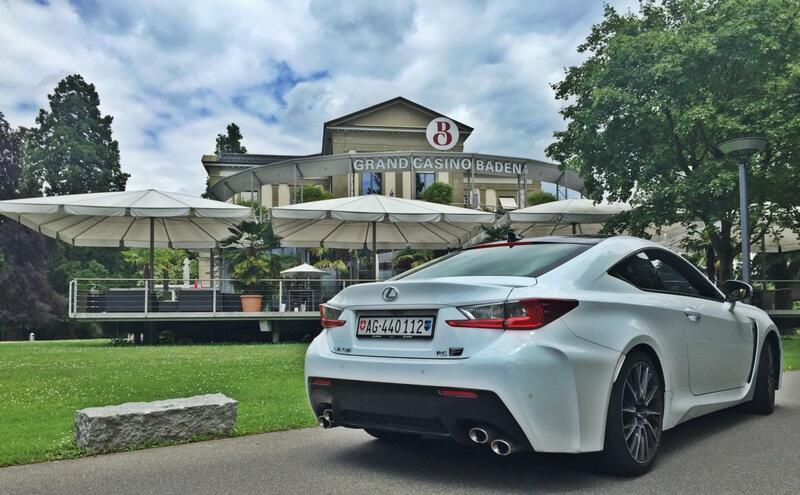 The RC F is 225kg heavier than most of its top rivals. Even though it can be handled with plenty of grip, due to its weight it is harder to control the vehicle. Besides, the breaks show the signs of stress and mid-corners adjustments become harder to enforce. 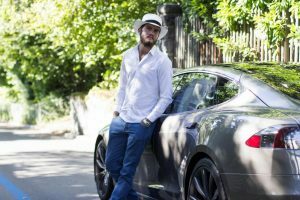 Regarding your investment, you might want to consider this to be more of a Grand Tourer (GT) car than an attacking sports coupe. The interiors of RC F reflects simplicity and calmness in contrary with its exterior looks – noisy, polarising and complicated. The welcoming and supporting front seats gives an upmarket feel to its user. 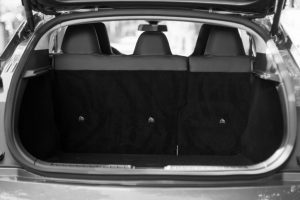 The car has got enough noise insulation and is technologically updated as it assists the driver electronically by keeping him/her alert of any incoming dangers. 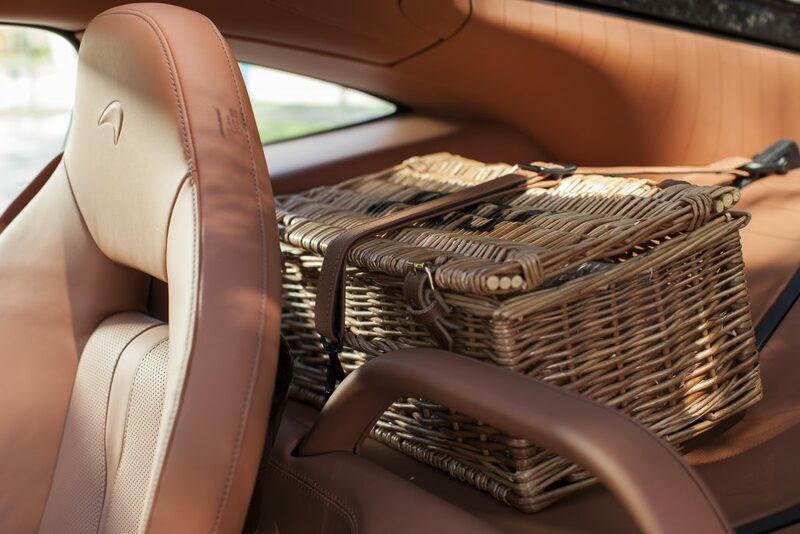 The car has enough storage space to accommodate a suitcase and a few smaller bags, but concerning this, it doesn’t quite keep up with the BMW M4 or Audi RS5. 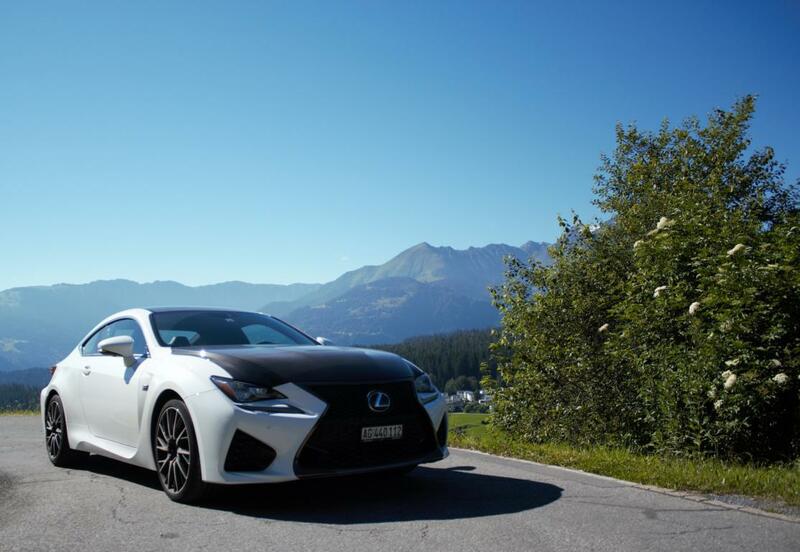 The RC F’s cabin is designed with plenty of interesting details such as LFA supercar-inspired gauges and gadgets like a G meter. 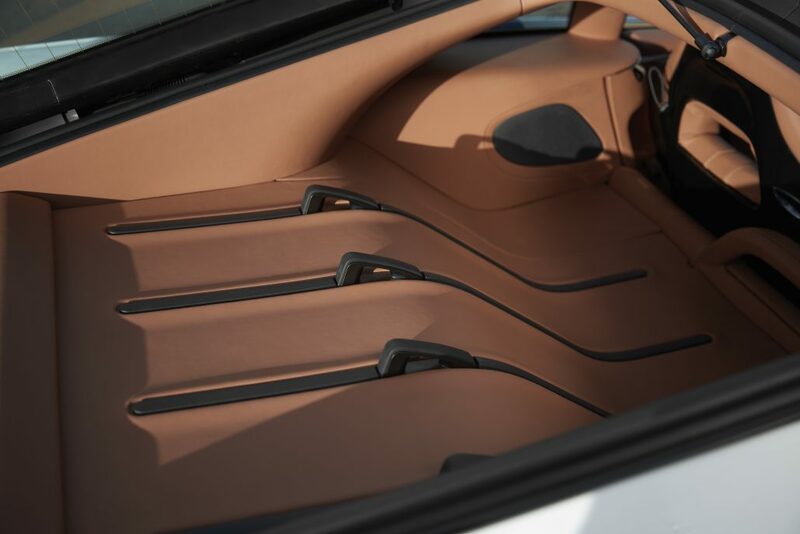 As it is a sportscar, passangers sitting at the back do not have plenty of room as the curved roofline and pushed back front seats use up most of the space. The dashboard contains a lot of buttons. Functions of these buttons could be easily carried out through touchpad, thus making the presence of the buttons redundant. The Lexus RC F accommodates a main 7-inch screen, mounted conveniently high on the dash. Though the screen looks smarter, the touchpad that is used to control it needs getting used to. 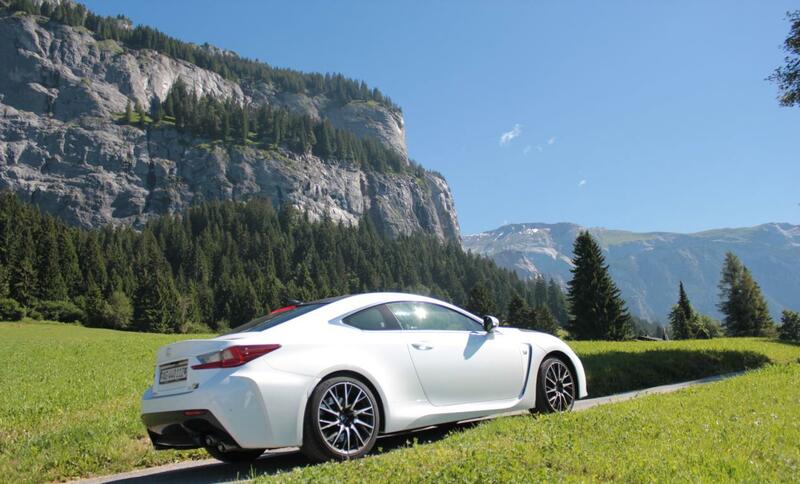 The RC F isn’t cheap when compared to its rival cars. Lexus also offers a carbon version of RC F in which the roof, spoiler and bonnet are made from carbon-fibre-reinforced plastic panels. Opting this model can save 9.5 kgs. The option list also includes an upgraded torque, a sunroof and an adaptive cruise control. The tracking system which is also included in the option list helps the owner recover the car if it gets stolen. 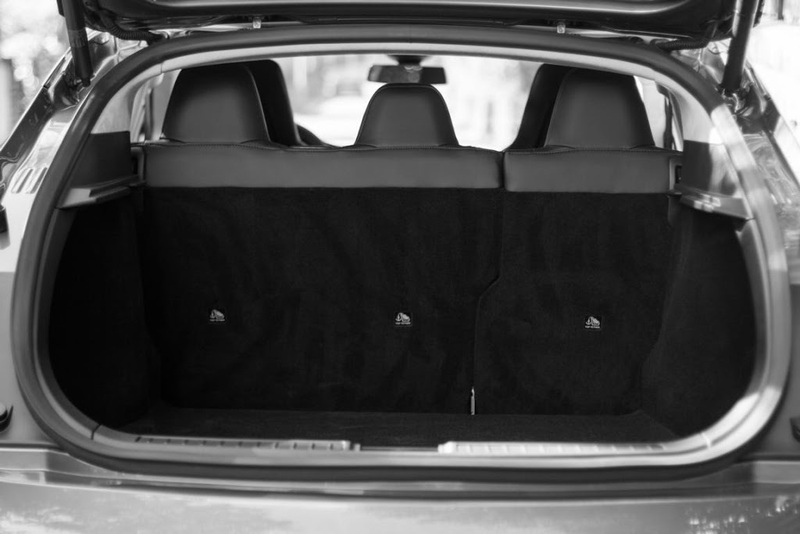 The Lexus RC F features eight airbags, and this includes knee bags for the driver and the front passenger. 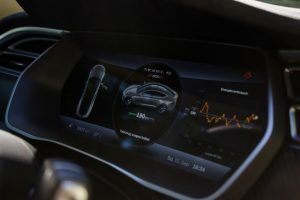 The advanced stability system in the car will help the driver regain the control over the car. The blind spot monitors and LED headlights promote safe driving. 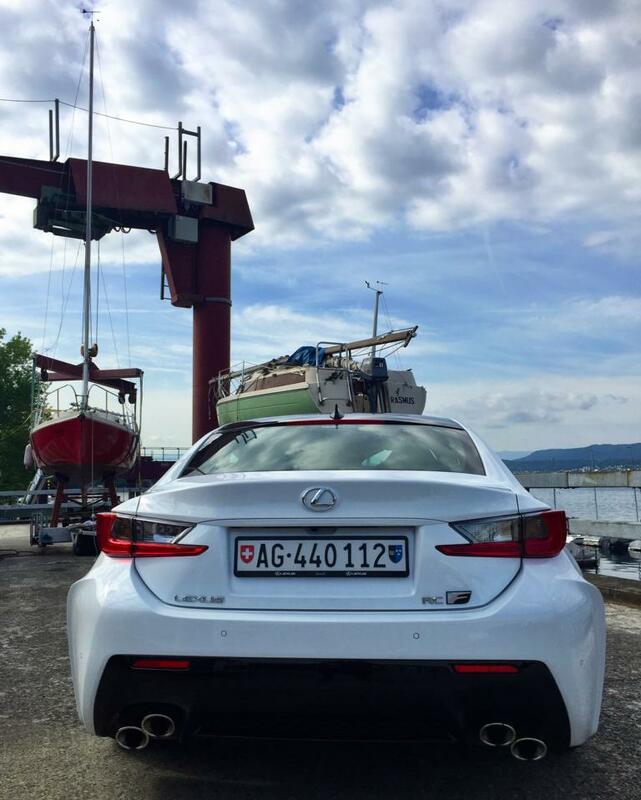 As Lexus has a good record with respect to crash safety, there is no reason to be sceptical about the model. Overall, this is one of the luxury cars that offer excellent performance and daily drivability. 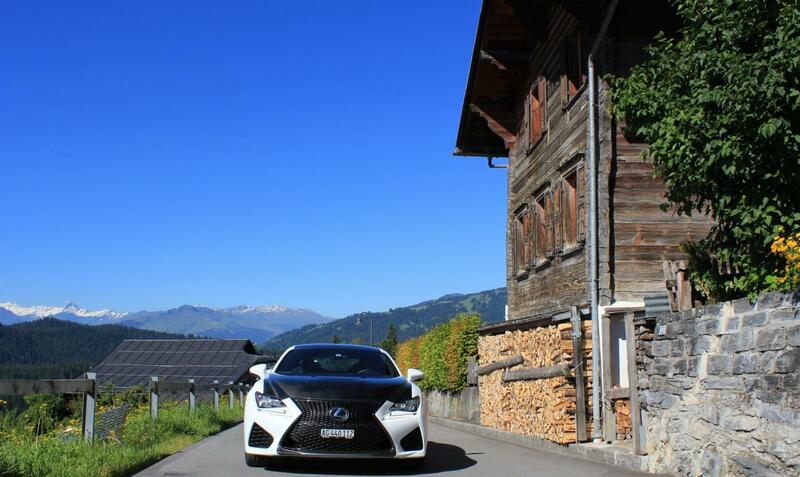 RC F offers plenty of performance, LFA-inspired interiors and extremely gorgeous looking exteriors. 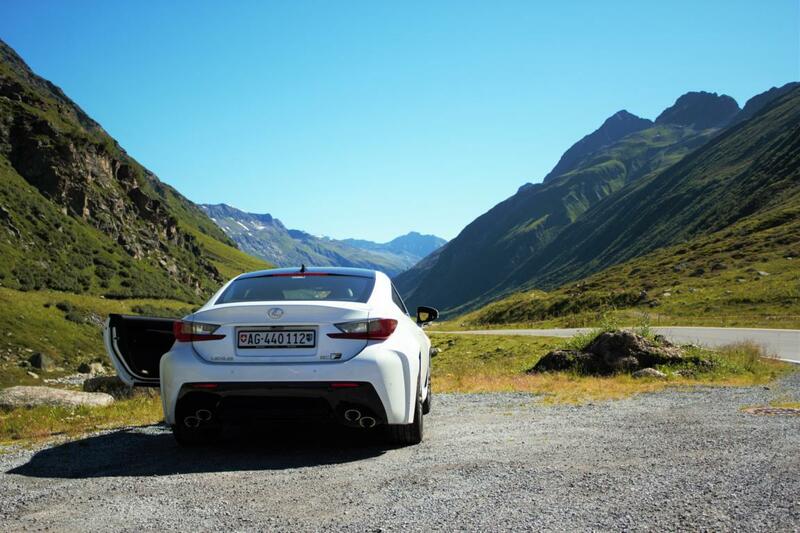 This makes Lexus RC F an extremely enjoyable car to drive. I had a lot of fun with the Lexus RC F, it’s absolutely genius at cornering and delivers very solid power in all sort of situations. I can’t wait to drive the GS F! 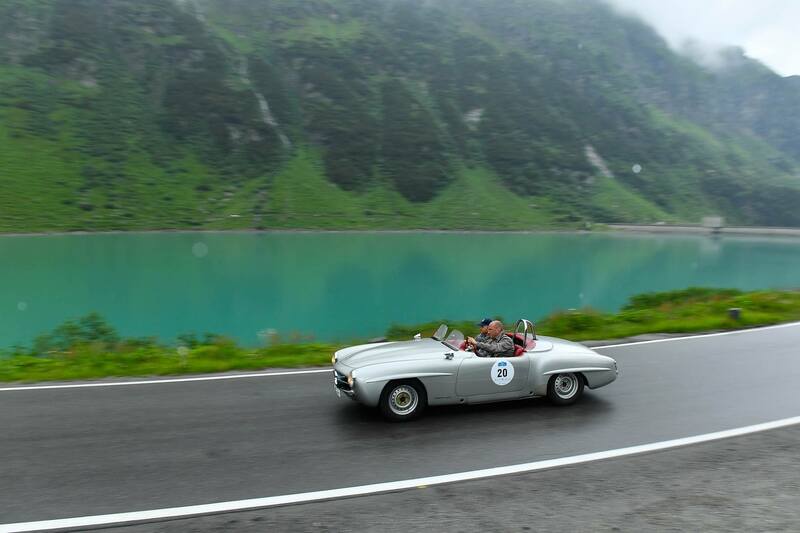 Neulich nahm ich an meiner ersten Oldtimer Rallye teil – die Silvretta Classic Rallye im Montafon. 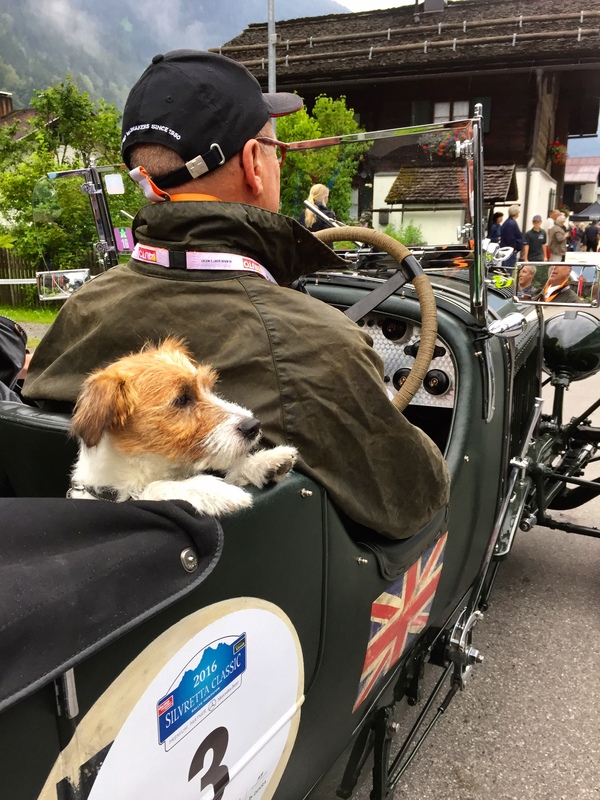 Wie jedes Kind träumte ich schon damals davon eines Tages einen Oldtimer zu fahren – oder ja sogar einen zu besitzen. 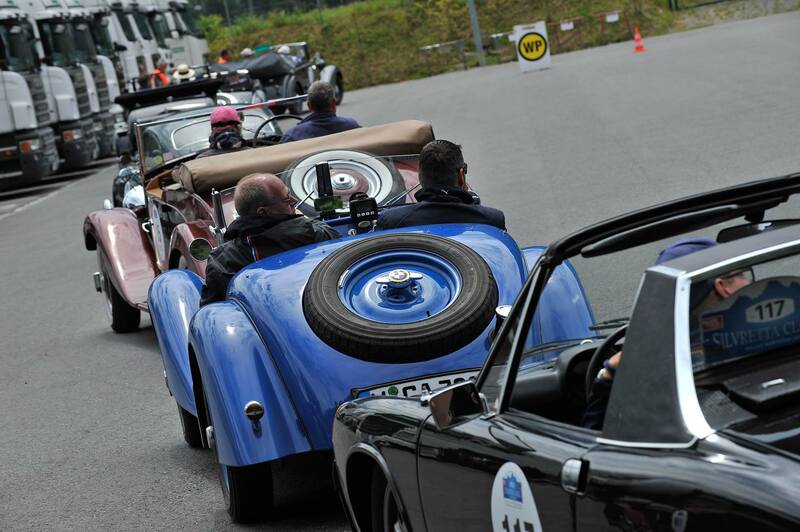 Das Thema Oldtimer steht natürlich für jeden Gentleman hoch im Kurs. Es geht über das Sammeln der Fahrzeuge hinaus, dahinter versteckt sich ein Mythos, eine Passion fürs Leben. Es ist vielmehr als nur Autofahren. 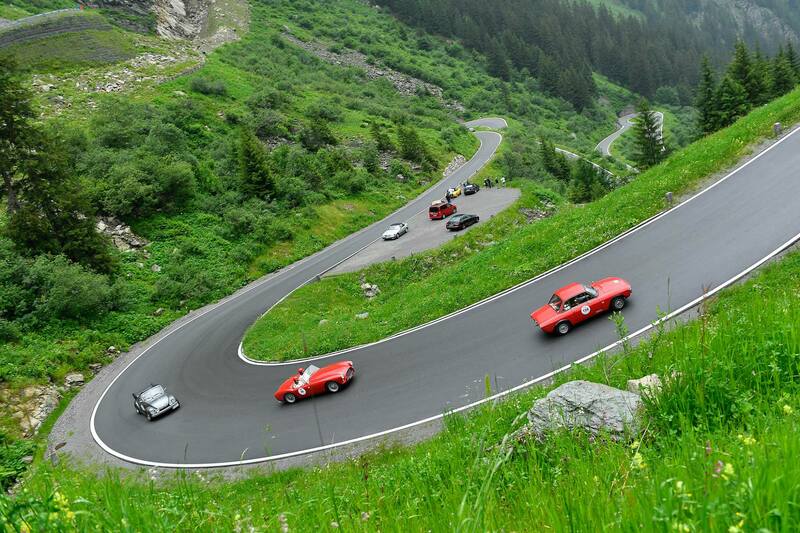 Meine Silvretta Classic Rallye ging an einem Samstag um 05:00 los. Früh morgens machte ich mich auf den Weg Richtung Partenen – im wunderschönen Montafon gelegen. Die Sonnenstrahlen drückten durch die Wolken als ich immer weiter ins in das Alpental fuhr. 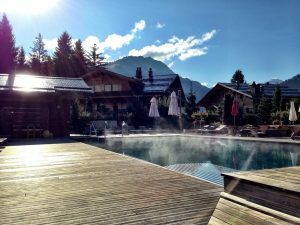 Natürlich kamen viele positive Erinnerungen hoch, wir waren ja bereits vergangenes Jahr im Löwen Hotel und verbrachten eine wunderbare Zeit. Ein paar Tage vor dem Rennen kontaktierte mich die Motor Presse Stuttgart, um nachzufragen, womit ich gerne mitfahren möchte. An dieser Stelle ganz herzlichen Dank für die Unterstützung! 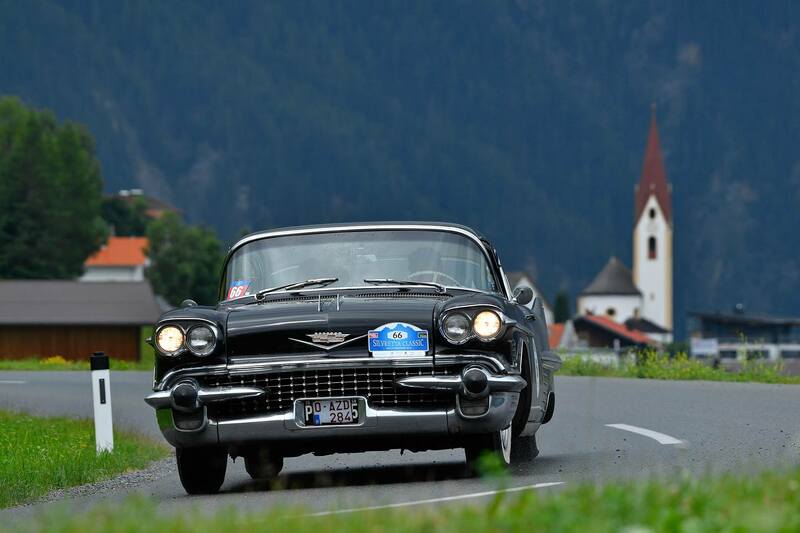 Nun, meine Wahl traf auf einen amerikanischen Oldtimer – den Cadillac 1958 Series 62 Coupé. Schon früh faszinierten mich amerikanische Oldtimer und noch heute weiss ich, dass ich eines Tages einen besitzen werde. 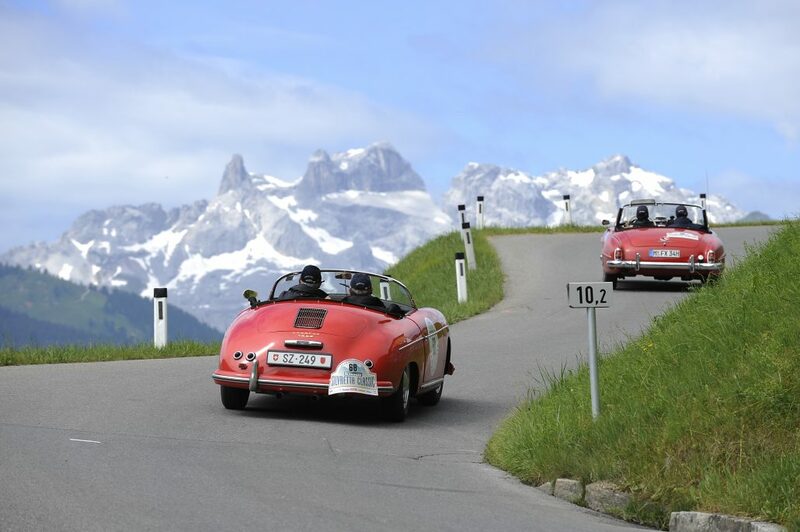 Was ich vor der Rallye nicht wusste, es war der grösste, längste und schwerste Teilnehmer der Silvretta Classic Rallye! 2,3 Tonnen Eigengewicht, 6 Meter Länge und 2,3 Meter Breite sind Masse eines LKWs! 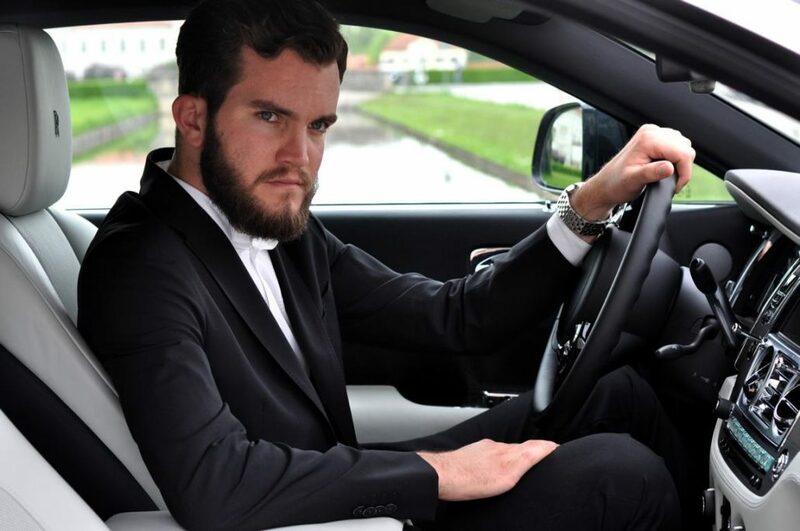 Der Cadillac hat einen typisch amerikanischen V8 Motor mit stolzen 300 PS, die Du nie brauchst, denn viel gemütlicher ist es, damit durch die Gegend zu cruisen. 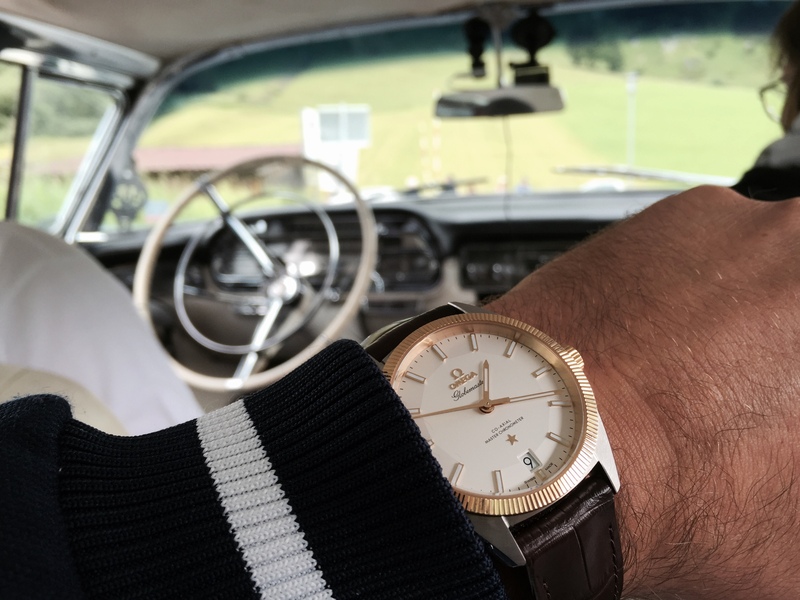 Man stelle sich vor, der Cadillac kommt mit einer simplen 3-Gang Automatik zurecht und verbraucht etwa 30L/100km – typisch US Oldtimer. Der Besitzer erzählte mir, dass es nur noch etwa 300 Stück dieses Modells gibt, seiner ist noch komplett in Originalzustand. Auf die Frage, wann er seinen Cadillac fährt: „natürlich bei praktisch jedem Wetter, dazu ist er ja da“. Mit meinen 1,94m hatte ich jede Menge Platz auf der Rückbank, ein riesiges Fahrzeug – unglaublich! Über nasse Strassen, durch grüne Wälder, über die Silvretta Hochalpenstrasse düsend bis zum See. Die Gegend ist unendlich schön, türkis blaue Stauseen umgeben von Bergen und kurvigen Passstrassen. Wo immer wir entlang fuhren, die Menschen winkten auf allen Strassen. 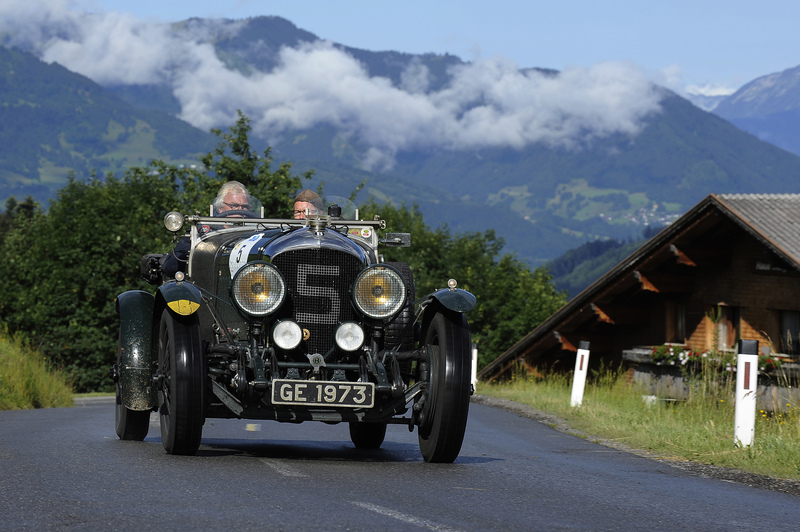 Während der Fahrt unterhielten wir uns über den Mythos Oldtimer, seine weiteren 16 Modelle und was es für eine Ehe bedeutet wenn der Gentleman ein solches Hobby pflegt. Inmitten dieses Abenteuers lässt es mich nachvollziehen wie viel Hingabe diese Passion bedeutet. 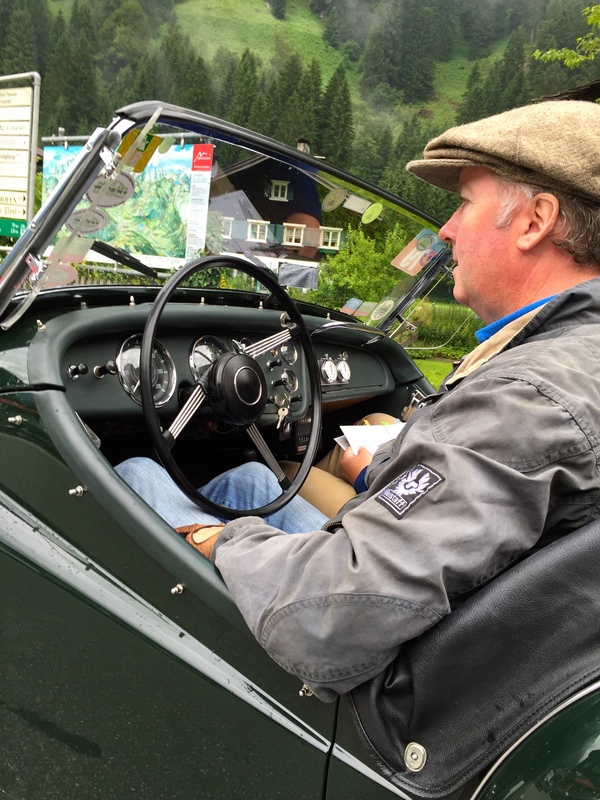 Meine Begeisterung hätte grösser nicht sein können, Oldtimer soweit das Auge reicht… Laute Motoren und so viele Schönheiten auf einem Platz! Natürlich mischen vorne einige richtig ambitionierte Fahrer mit, aber am Ende des Tages gilt: dabei sein ist alles! 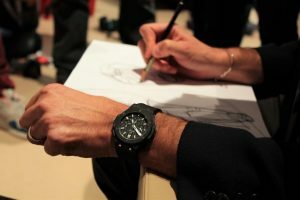 Meine Wahl war nicht schwer, für einen solchen Event geht nichts über eine elegante und klassische Uhr. 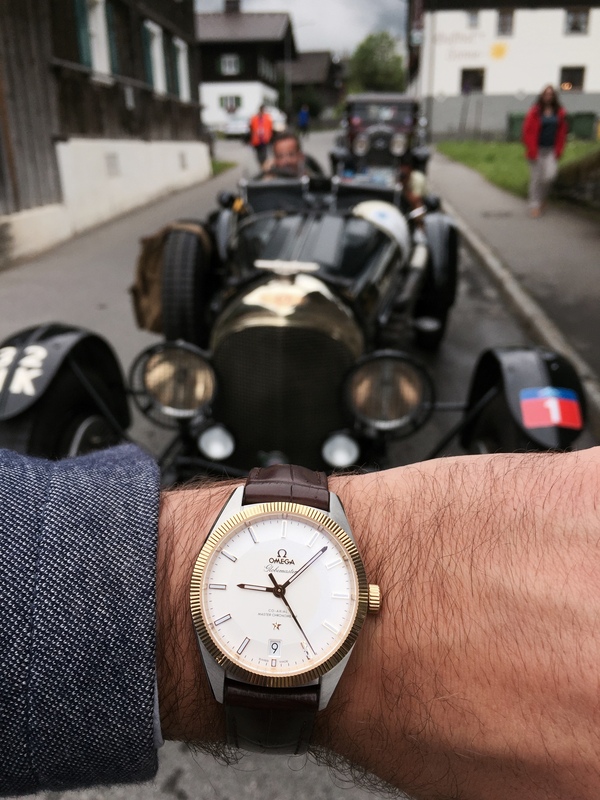 Aber was verbindet einen Oldtimer mit der OMEGA Globemaster? Ein Oldtimer wird aufwändig gehegt und gepflegt, jedes Detail wird sorgfältig beachtet. Eines Tages schliesst sich der Kreis und der Vater vererbt dem Sohn seinen Oldtimer. Genau so ist es mit einer mechanischen Uhr, sie verliert den Wert nicht. 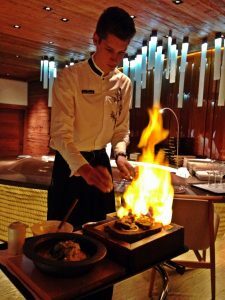 Auch die Uhr wird sorgfältig restauriert und aufbewahrt, irgendwann wird man älter und vererbt sie in die nächste Generation. Und dies über Jahre hinweg. Es ist ein ideeller Wert, etwas das nie zu Ende geht und seinen Mythos und seine Geschichte wie eine Schatztruhe in sich wahrt. Wir leben in einer Zeit die sich kontinuierlich verändert, ständig werden Neuerungen präsentiert, aber wird es dadurch besser? Ich denke, es gilt die wahren Werte im Leben zu erhalten – diejenigen, welche über Generationen weiter existieren und die wir im Herzen tragen. Genau das ist es, was mich diese Tage so sehr berührte. Hier geht es nicht um finanzielle Werte der Fahrzeuge, sondern um die Passion, die Freude am Leben, um sein grösstes Hobby, worin man so viele Stunden investiert. Es geht darum, seinen Traum zu leben. Die Stimmung war wirklich atemberaubend. 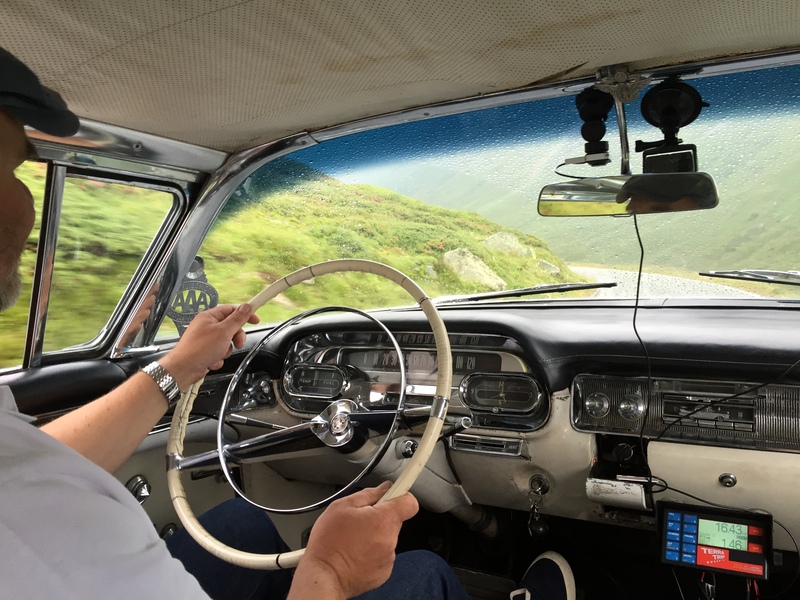 Im Nachhinein kann ich Euch versichern, eines Tages an einer Oldtimer Rallye teilzunehmen – mit meinem Fahrzeug versteht sich. Ich habe zufriedene, entspannte Menschen getroffen, welche alle Dasselbe tun: Ihre Passion leben. Unberührte Bergwiesen und berühmte Gipfel – das Montafon hat alles, was den Bergurlaub zu einem echten Erlebnis macht. Und das für alle. Für Familien, Sportbegeisterte, Kulturinteressierte, Naturliebhaber und Genießer. Authentizität spielt dabei in allen Bereichen eine große Rolle. Eine Region auf ganz natürliche und genussvolle Art zu entdecken. 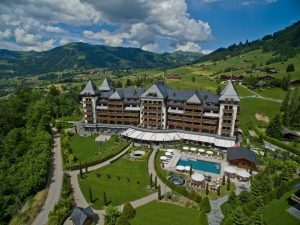 Im Montafon – einem Alpental im westlichsten Bundesland Österreichs – ist dies ohne Vorbehalte möglich. Die herrliche Landschaft des 39 km langen Tales mit elf Orten bietet genügend Platz für umfassende Freizeit- und Sportmöglichkeiten. Die insgesamt ca. 20.000 Gästebetten liegen zwischen 650 und 2.032 m Seehöhe. Das Angebot an Übernachtungsmöglichkeiten könnte vielfältiger nicht sein: Ferienwohnungen, Gasthäuser, Privatzimmer, Hotels oder direkt auf dem Bauernhof. Die unberührte Landschaft ist Balsam für die Seele. Das Zusammenspiel der Natur mit Kunst und Kultur eröffnet neue Blickwinkel. Even in the stratosphere of ultra classy vehicles, the Rolls Royce Wraith stands out as a unique car. 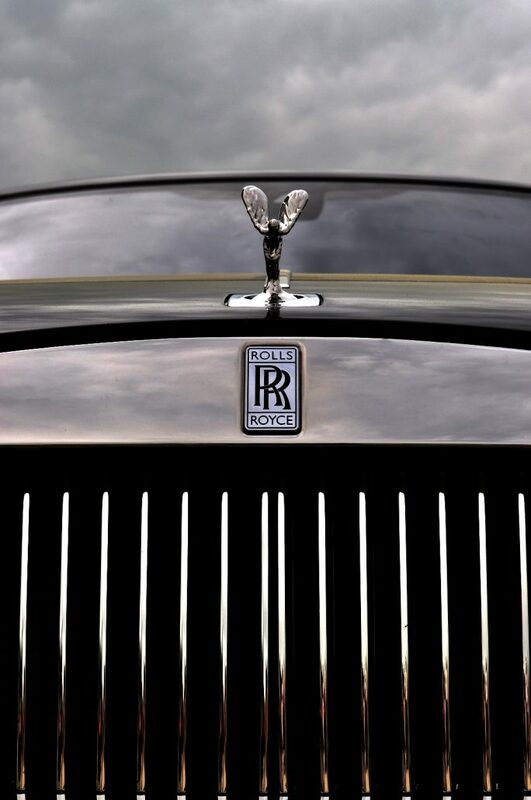 It’s the most powerful Rolls Royce ever. This particular model is actually intended to be driven by the owner – a unique behind-the-wheel-experience. Wraith is a Scots word for “ghost” or “spectre”. It came to be used in Scottish Romanticist literature, and acquired the more general or figurative sense of “portent” or “omen”. 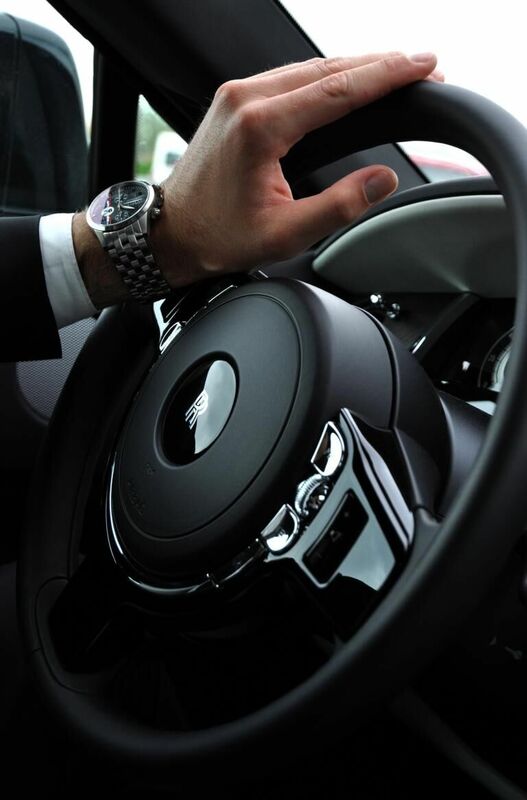 The genius designers of Rolls Royce turned this curse, this saga, into a new level of high-class car manufacturing. The Wraith comes up with the most powerful and yet advanced V12 engine. A 6,6 litre twin turbo that produces 632hp. 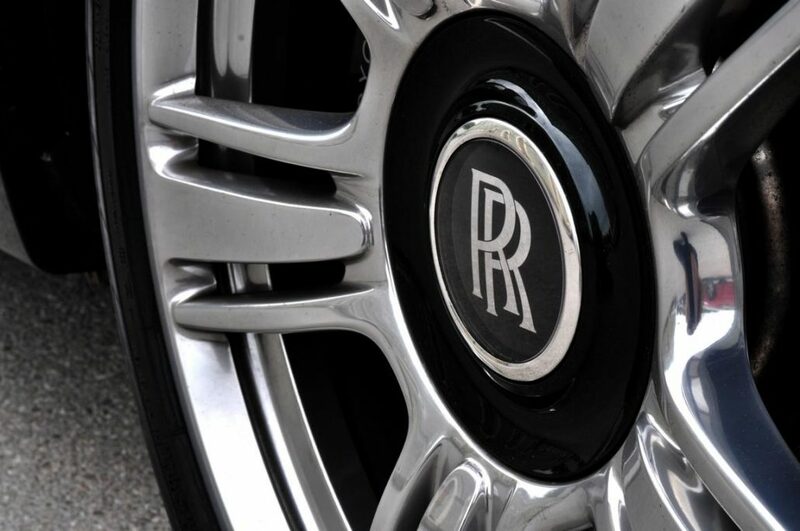 Rolls Royce is one of the only brands still producing cars with a turbocharged V12. It runs from 0-100 in only 4,6 seconds. The big surprise was that it just floats to 100, almost not noticeable. The coupé is 5,27 meters long. 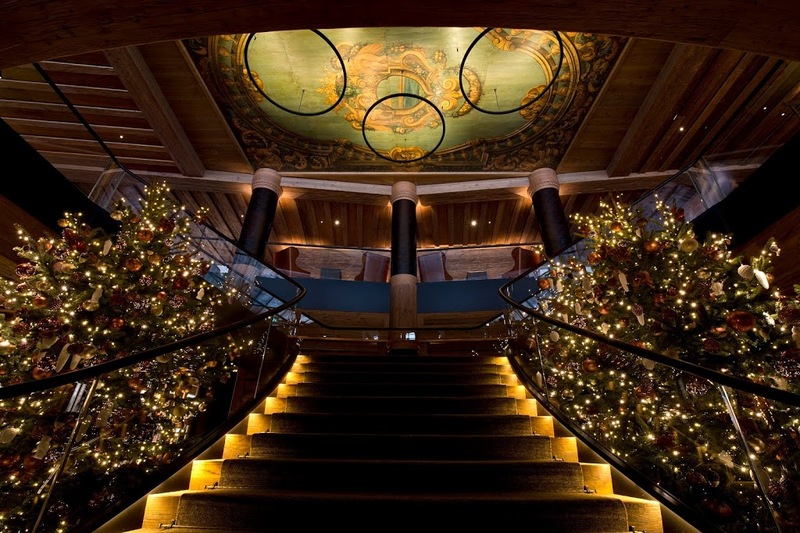 The design contains continuing lines that are wonderfully formed and harmonised. The door opens the other way around – it’s the same size as the front wing. Another proof for an outstanding eye for the detail. It’s just harmony. There is an umbrella in the door, and of course the matching dryer too. The door closes with a smooth push on the button. 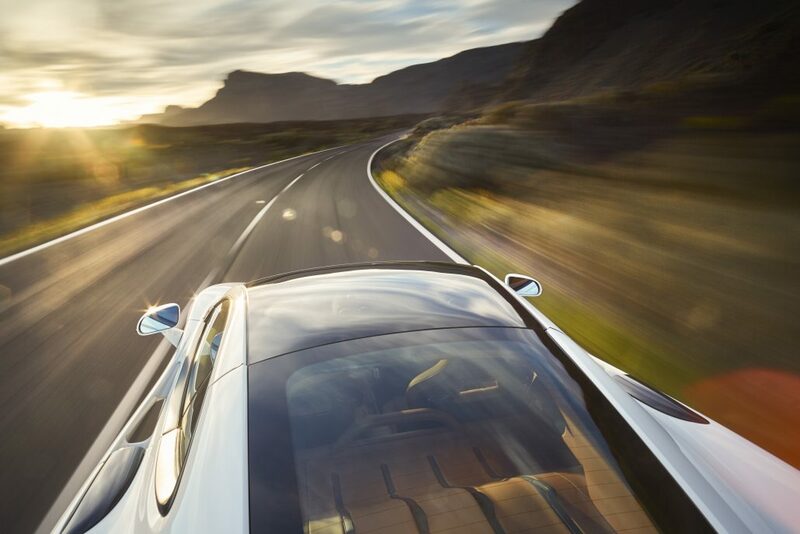 Floating over the roads the Wraith pre-calculates the situation and automatically adapts it’s suspension. Whilst you sit in this phenomenal vehicle, it floats over the roads like a ghost in the night, like a powerful superhero, with all his strength and all his pride. Dark clouds are covering the sky. It makes your perception of this experience even more mind-blowing. You’re riding a ghost, a saga. The force is within you, it turns you into a mastermind. A superhero, a ghost in the lights of the dawn. 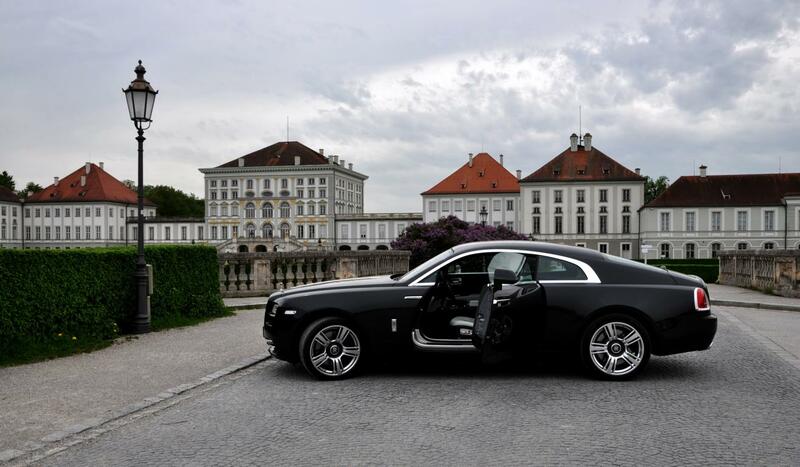 You want to drive this Wraith to the end of the horizon, where ever that is. You want to go with this ghost, where ever he brings you. What ever secrets he might tell you. 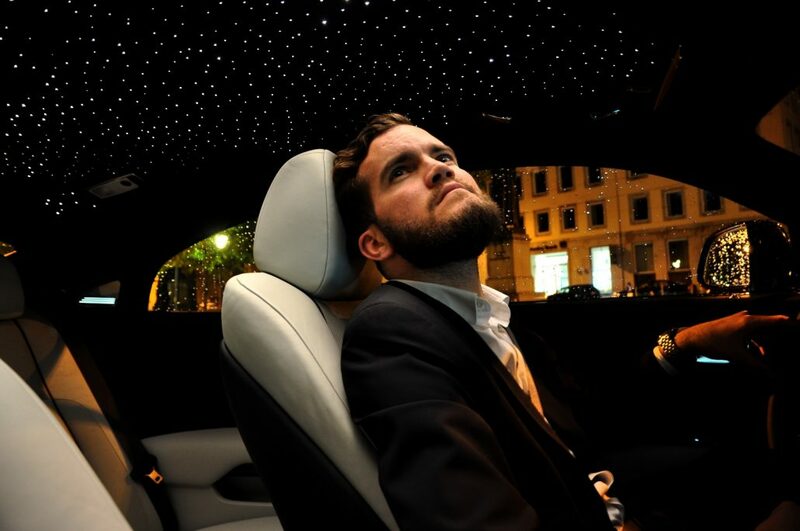 A sky full of stars – in a car! It makes you dream about the infinite universe, all the suns out there burning in all those galaxies. 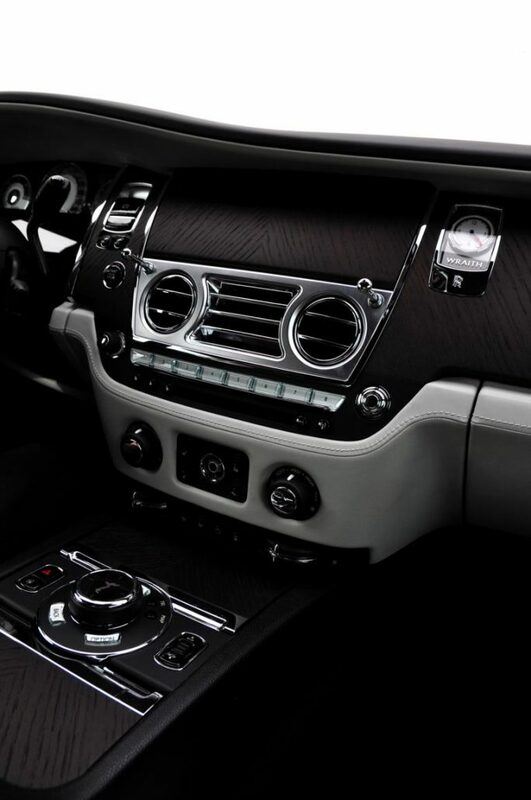 Rolls Royce has built a car audio, designed only for Rolls Royce. A unique and powerful stereo 3D experience. If you listen to ‘Hans Zimmer’ in there, you reach other levels. Your mind goes to a different capacity. This car is build and designed for inventors, doers, sportsmen, entrepreneurs. 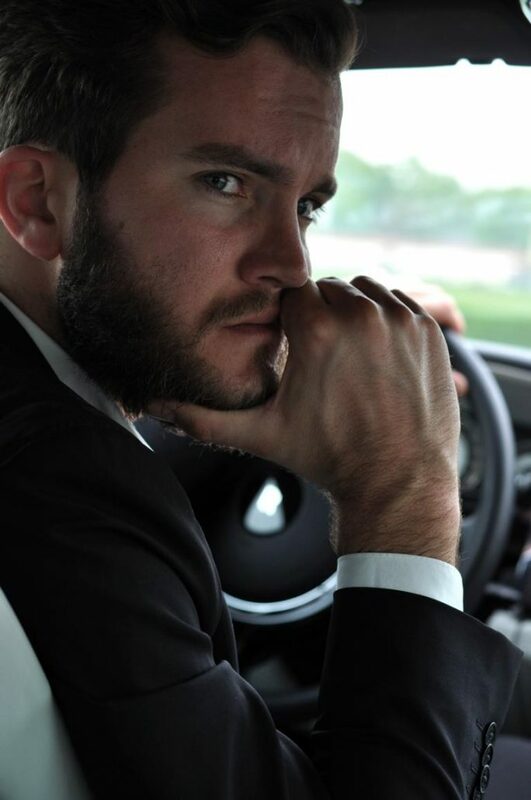 People who understand and appreciate the elegance and class and the hours of effort to build a Wraith. 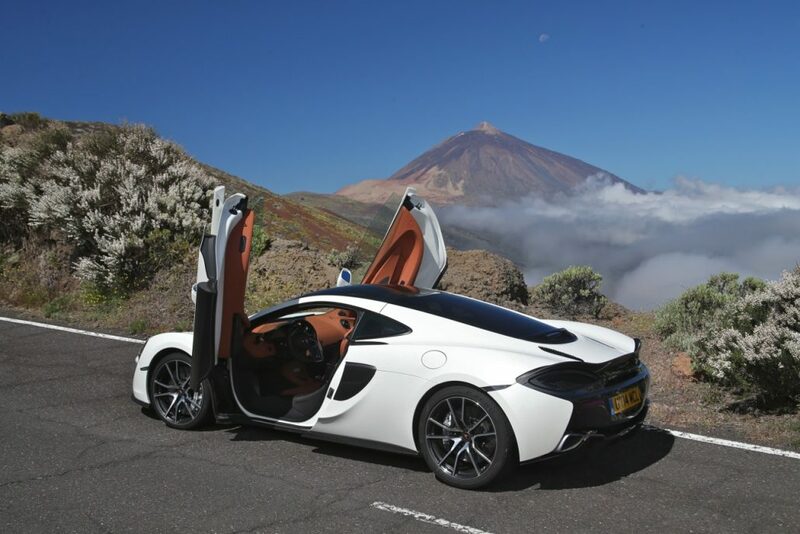 It’s one of these days when suddenly the phone rings and you’re asked if you wanna join the McLaren team on Tenerife to drive the new McLaren 570GT. 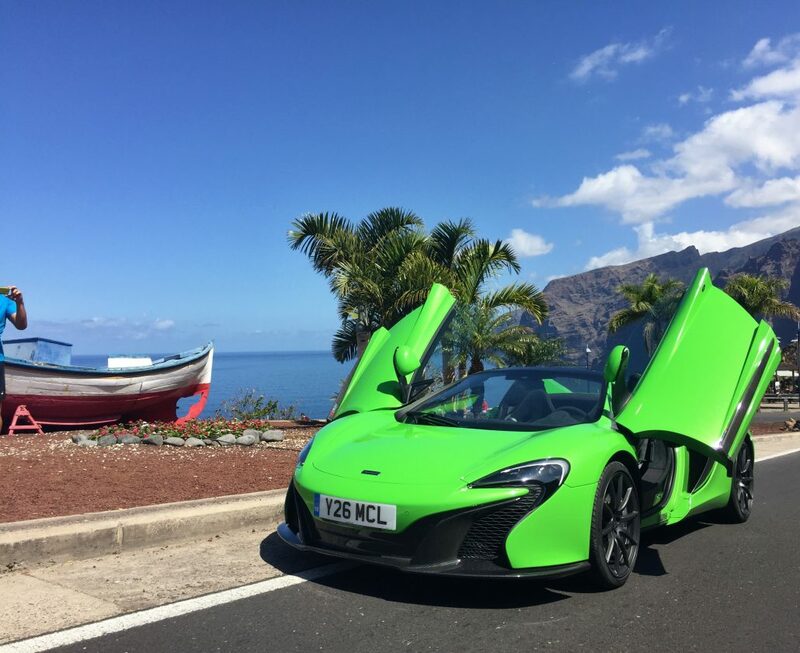 My adventure started with a smooth flight, of course I was totally excited to drive across the island and discover this beautiful car. The team booked the supreme suite with the new 570GT standing in the middle of deck. I almost couldn’t believe my eyes, so I had to ask how they have managed to get it up there? Well, there was no helicopter on the island with enough power – at the end of the day the have used a huge crane to lift it on to the top of the Hotel – crazy! Over these days we had a very lovely team and wonderful food. Where ever and when ever we had all the support and help needed. I’d like to share a big thank you with the McLaren crew. 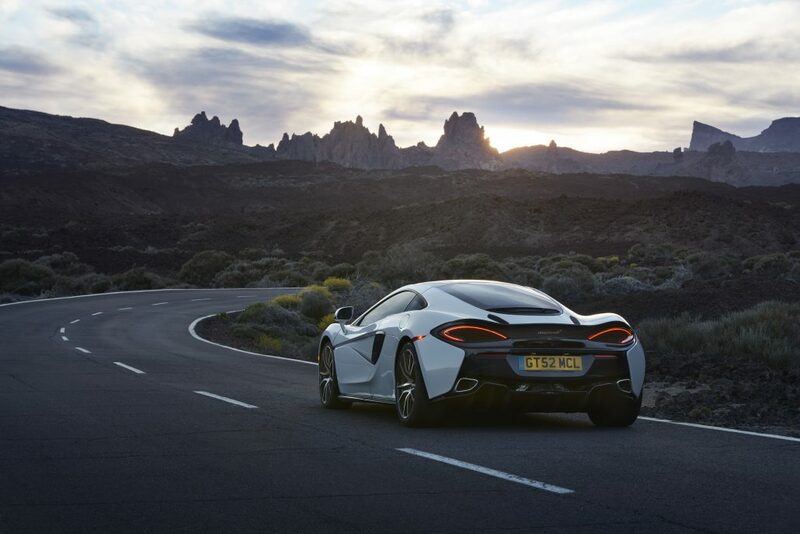 With their new model – the 570GT – McLaren is presenting their yet most comfortable sports car. So what’s different? Basically the whole concept of building a sports car has been refined and made more luxury. 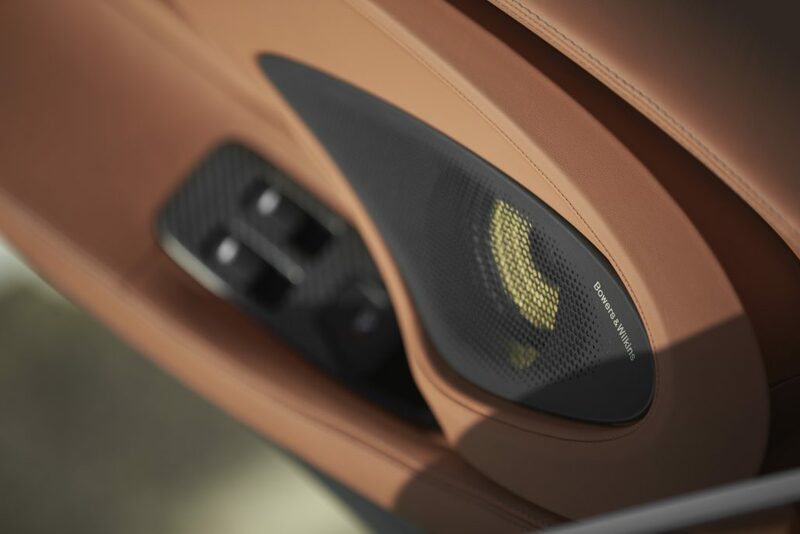 The McLaren 570GT contains a touring deck with 220 litres of storage space, a panoramic roof, comfy beautiful leather seats and a Bowers & Wilkins sound system! 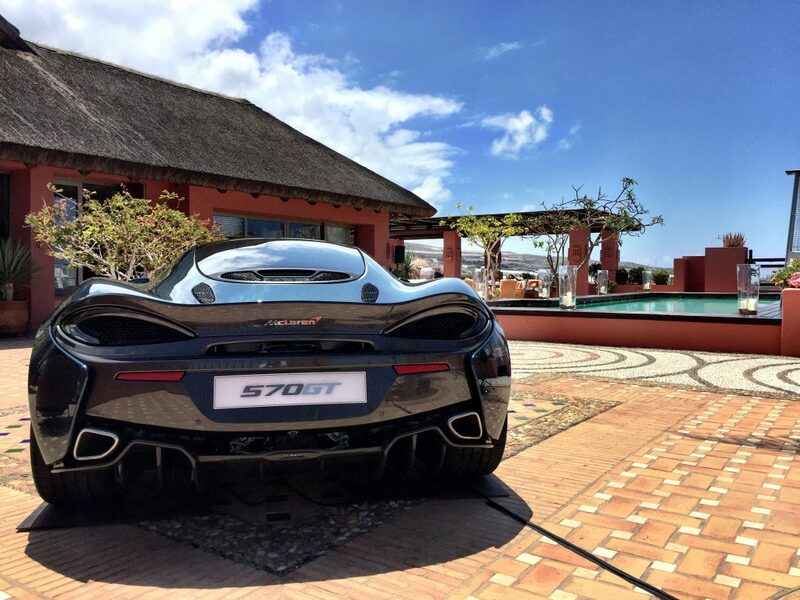 The McLaren 570GT is an ultimate sports car experience. One that’s perfect for daily use, longer journeys and weekends away. 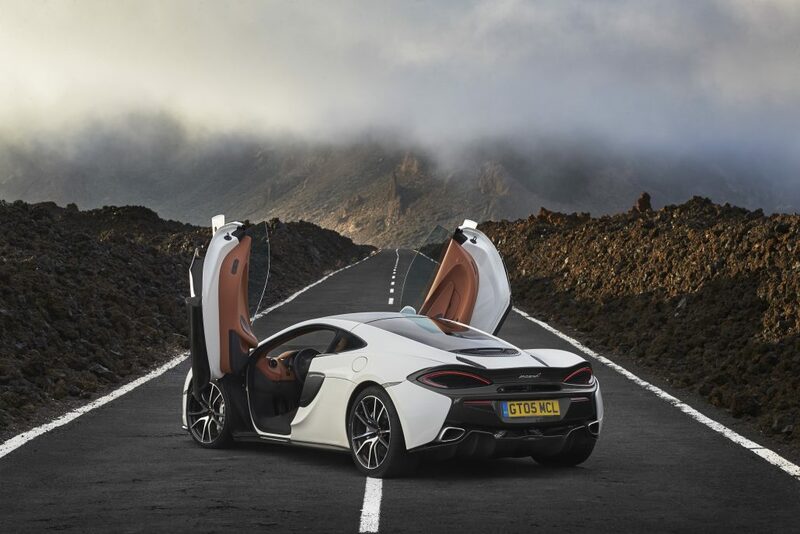 McLaren is of course using a carbon-fibre chassis to make the model light and protecting. 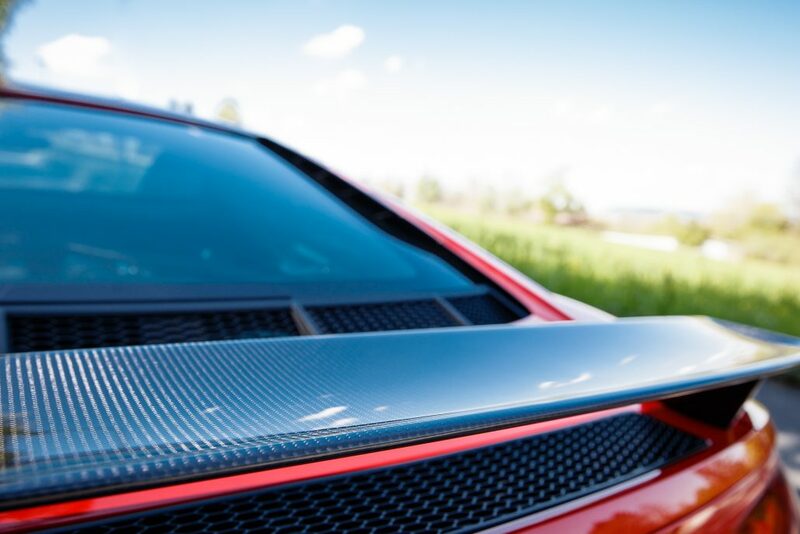 Yes, the result of using carbon-fibre is exceptional crash protection, outstanding dynamics and an unrivaled power-to-weight ratio. So let’s talk about the performance! 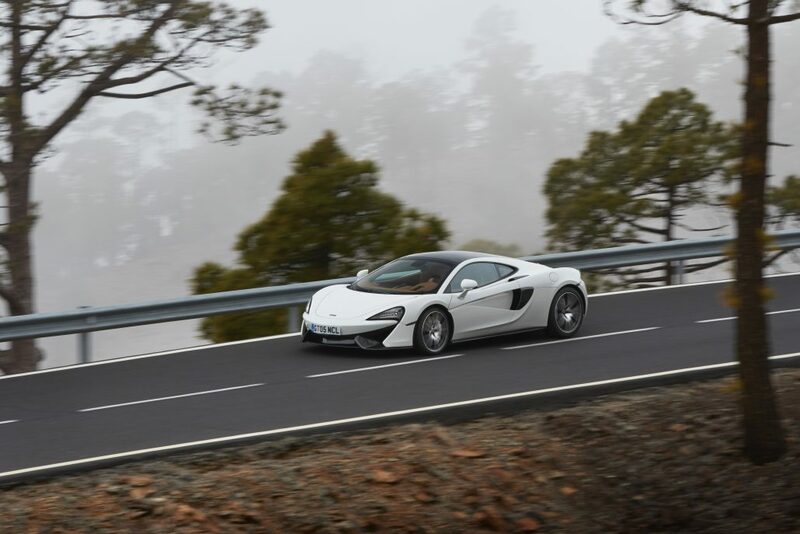 McLaren is using their twin-turbocharged 3.8 – Litre V8 which produces pretty mad 562BHP and 600NM torque. The sound of the 570GT is a bit less loud compared to the other models – that ensures the common theme of building a comfortable sports-car. The seven-speed seamless-shift gearbox belongs to most responsive gearboxes I’ve experienced so far. Pretty sick how detailed you can adjust every single detail. There are two options, both separately adjustable from each other. So you can switch the engine in sports mode but keep the handling in normal mode which is ending up in some fancy driving cocktails. The journey we had on this island, was beyond anything I have seen and felt. The diversity of our ride across the roads was otherworld-like. And that’s why I wrote some style of a poem to express what we have discovered. I’m here, paralyzed, under the vibrant sky. Lost in an abyss, only glimpses of far away stars, out of reach. Is time an illusion, an interval or a passage? On the darkside of the moon. The moon inspires mankind since we exist, it speaks his own secret language. My mother once told me that one of my first words as a baby was ‘moon’ – and I always looked up astonished by it’s mystery. 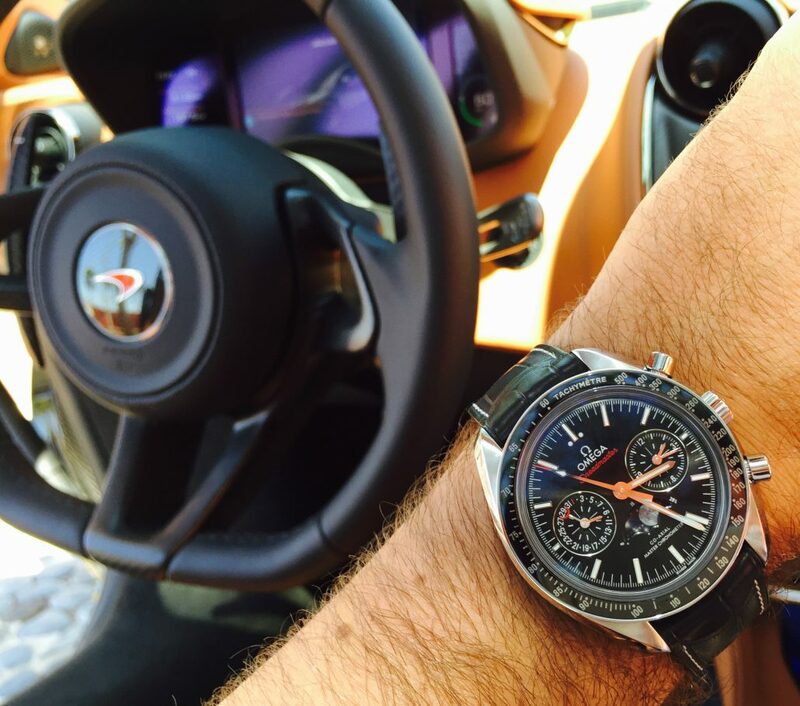 The OMEGA Speedmaster Moonphase means so much more than just a time indication to me. It’s my personal fascination for precision and perfection. As well as beautifully measuring every moment on earth; this timepiece follows the phases of the moon, which makes perfect sense given that the Speedmaster was the first watch ever to be worn on the lunar surface. A brief astronomy lesson: a lunar month is not 30 days, but slightly more than 29.5 days. A difficult time-span to manage for a standard gear train, but OMEGA’s Moonphase is up to the task. The ‘Master Chronometer’ movement is the yet most precise movement, tested at the industry’s highest level. 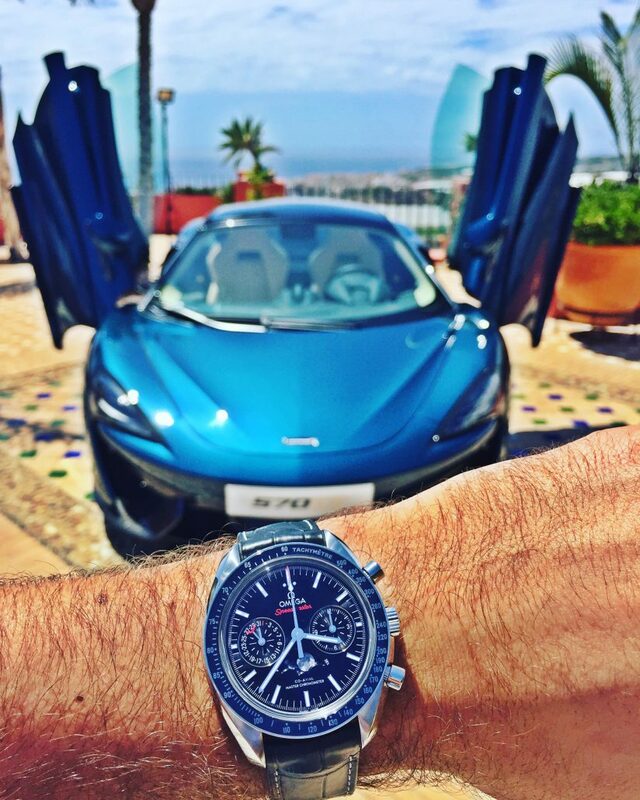 And that’s exactly the reason why it harmonizes so wonderfully with the 570GT. Wayne Bruce is the Global Communications and PR Director. Lucky me, I had the opportunity to ask him a couple of questions. So you’re obviously not Batman, right? 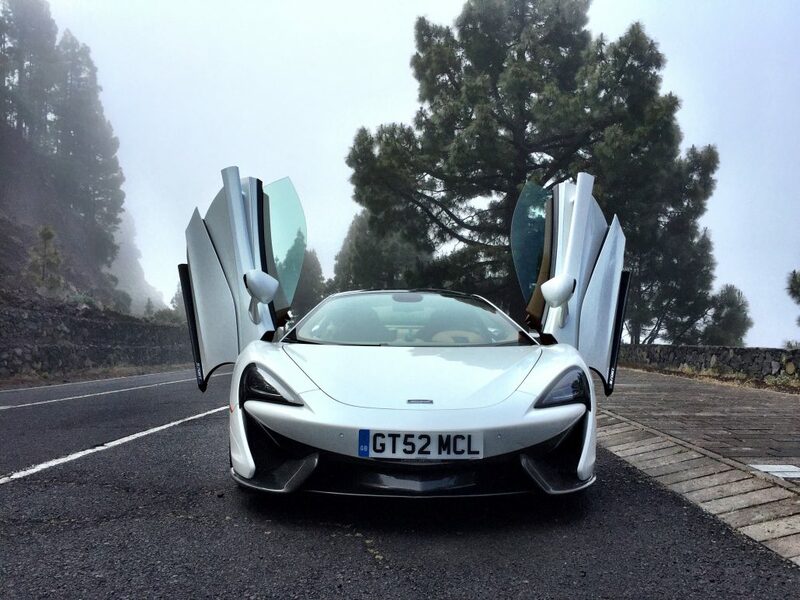 What was the goal by developing the McLaren 570GT? 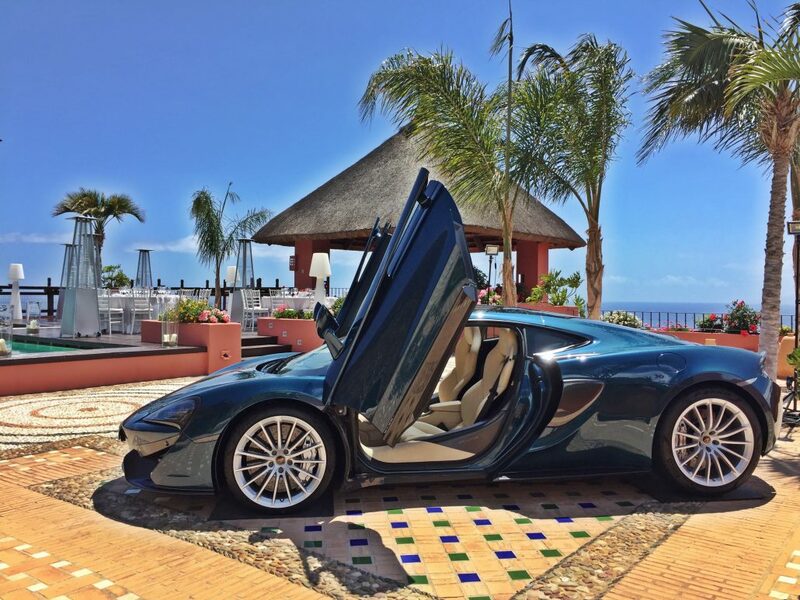 It’s the most luxury McLaren that has been built yet. Means you can easily take it for a longer journey without any issues. 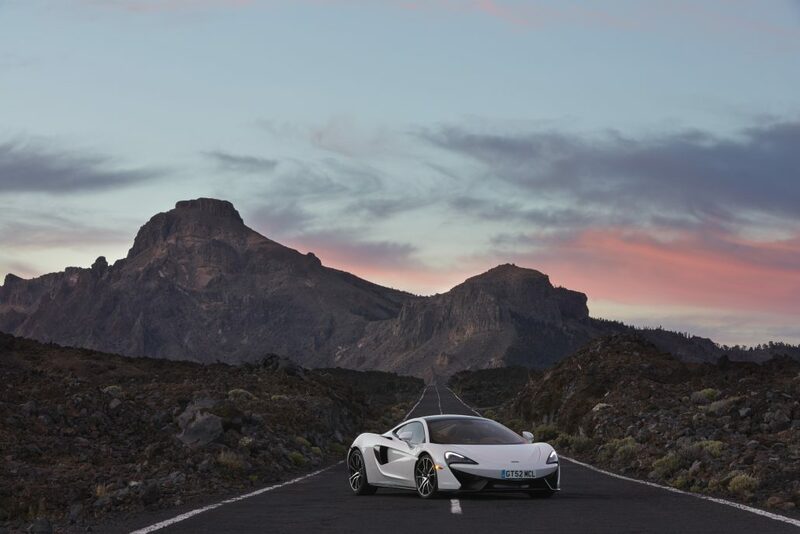 It does take the brand into the ‘Gran Turismo’ territory for the first time in history, but it’s still very much a McLaren. Some words about the future? McLaren will stay self-funding and independent. We’re going to invest a large proportion of our profits into future products which results in 15 new cars – half of them hybrid engines. 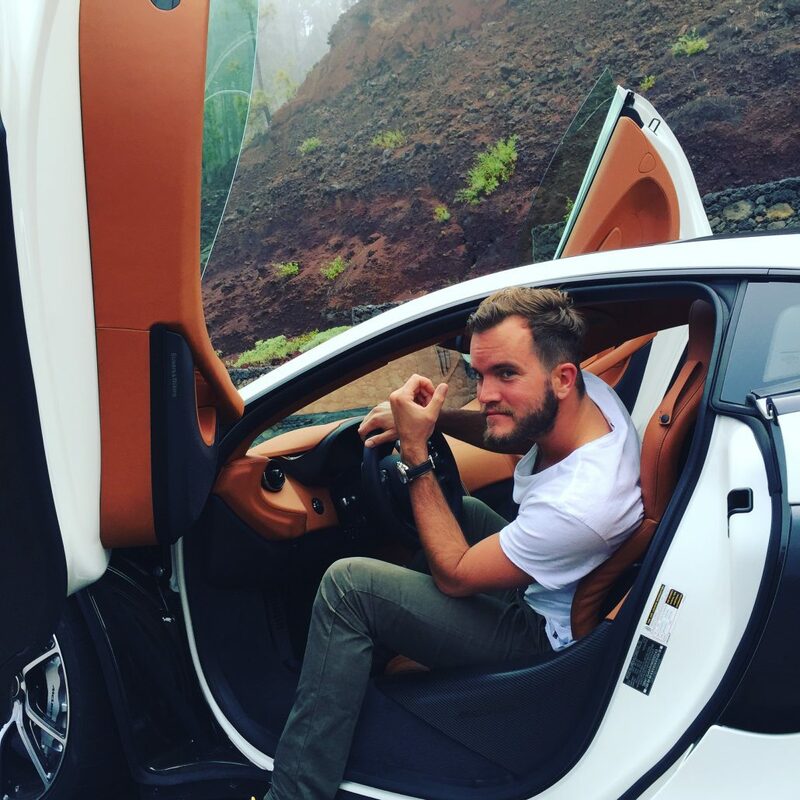 Of course he drives a silver McLaren 570GT (smiles). Being a gentleman is about politeness, understatement, tolerance of others and letting others go first. 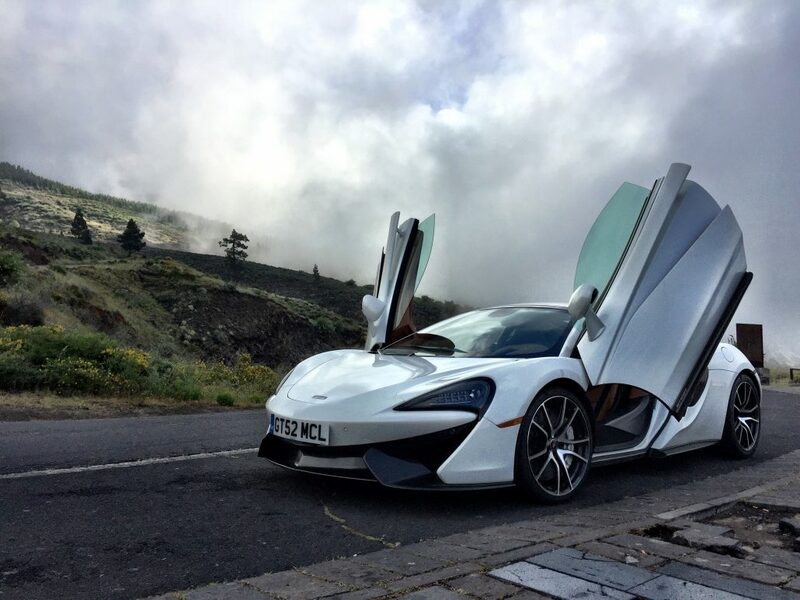 After these endless roads and the tremendous beautfiul ride, I took the McLaren 650S to review a slightly faster and crisp model. I made some stopover at Los Gigantes. Now you have a chance to see me going mad in this car. And as well explain the details. I’m very much looking forward to my next adventure with McLaren, I’m pretty sure we will have a look into the McLaren production soon! This year, Audi has presented their fastest series car in history. Of course that made me curious and totally excited to drive it for a couple of days. So what’s the difference to the old version? 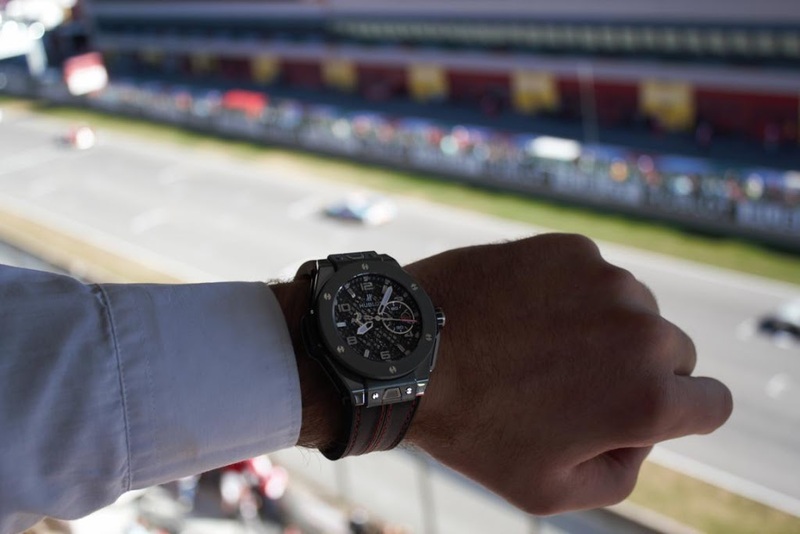 This particular model is born, developed and refined directly on the racetrack. You can absolutely imagine that these guys took the whole team to the track to constantly improve the car. The new model comes up with a naturally aspirated 5.2 L V10 that produces 610bhp! In figures? 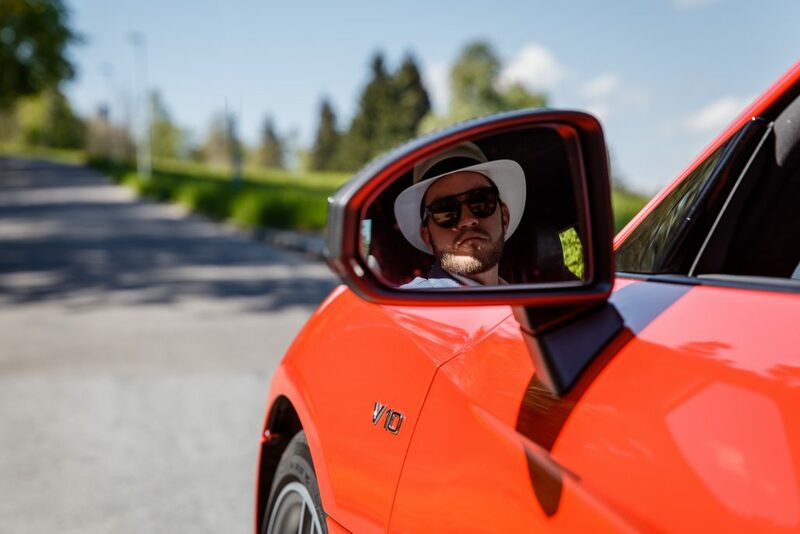 0-100 in 3.2 seconds & 0-200 in 10 seconds, those are figures you normally get out of a Lamborghini Huracan! As well the whole design has been made more sharp and aggressive, it’s simply killing it! Audi decided to use a 7 gear twin-clutch gearbox that works like a Swiss watch movement. It’s absolutely precise and responsive. The power is just always available. Due to the naturally aspirated engine, you have no turbo lag or anything similar. 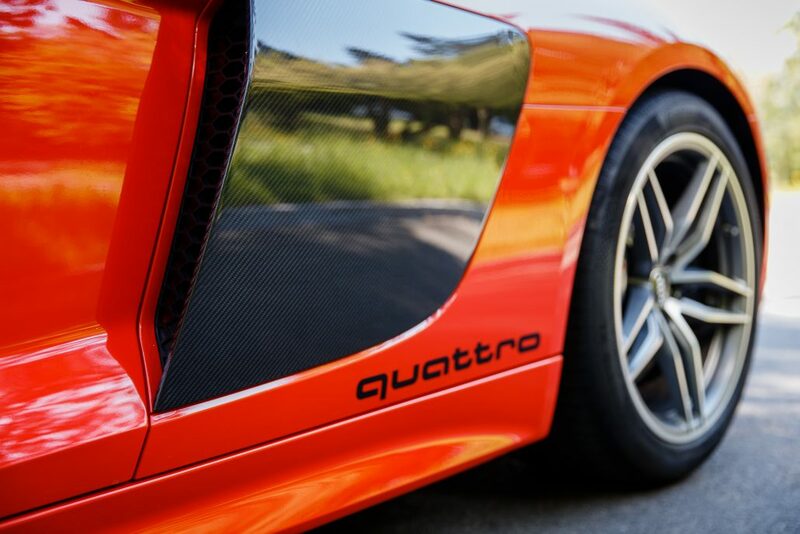 To make it even faster on the track, Audi is using the ‘quattro technology’, which is nothing less than a beautifully made four wheel drive system. Small hint here: as experience teaches, a four wheel drive system usually makes the car a bit heavier but therefor faster on the track (bear in mind that’s not always the case). Audi definitely didn’t make economies with this outstanding exhaust system! At the very moment you’re putting it into the sports mode it starts to spit fire and kills all of your sense of hearing. We made two videos instead of talking a lot – hell what a sound! 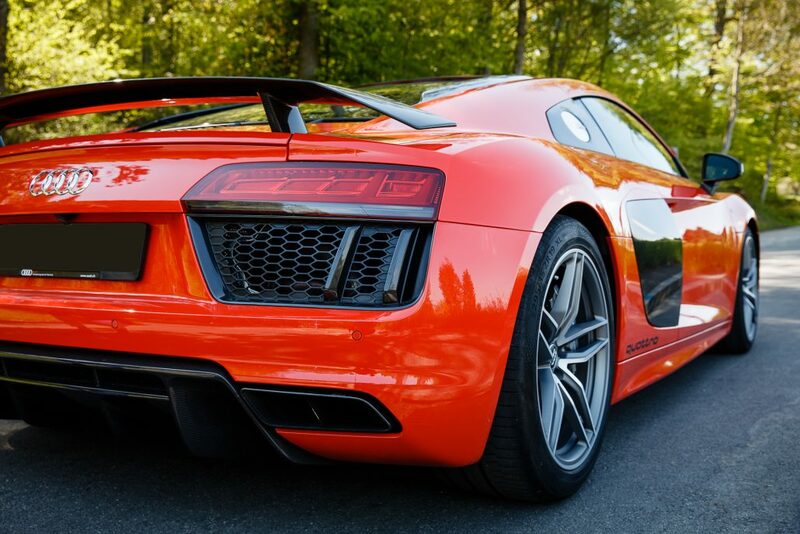 The new version of the Audi R8 looks very sharp and yet even pretty aggressive. The red colour with all the carbon fiber details (that makes the car lighter and more stable) gives it a supercar feeling. I’m sure that Audi has now well managed to enter the hall of supercars. While driving through Zürich, I had people taking pictures, waving and even young boys running behind me from one to the other traffic signal with their mobile phones. 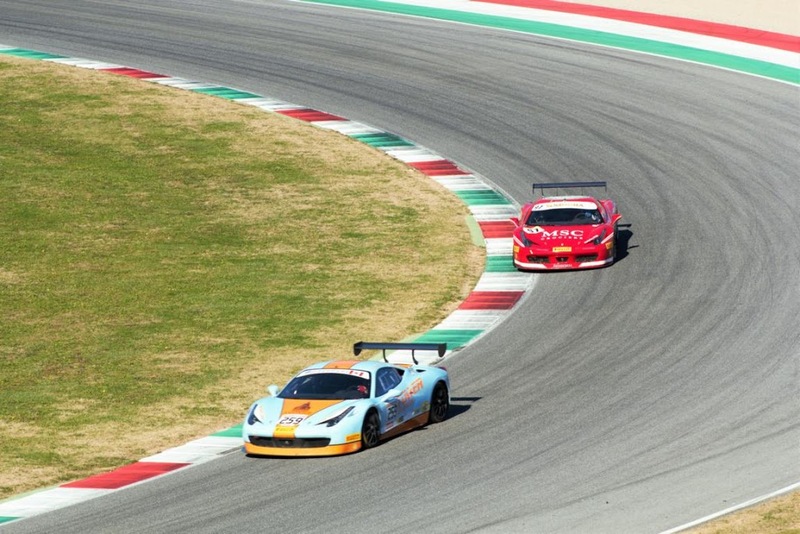 That only happens in a sportscar. The engine has a glass cover. 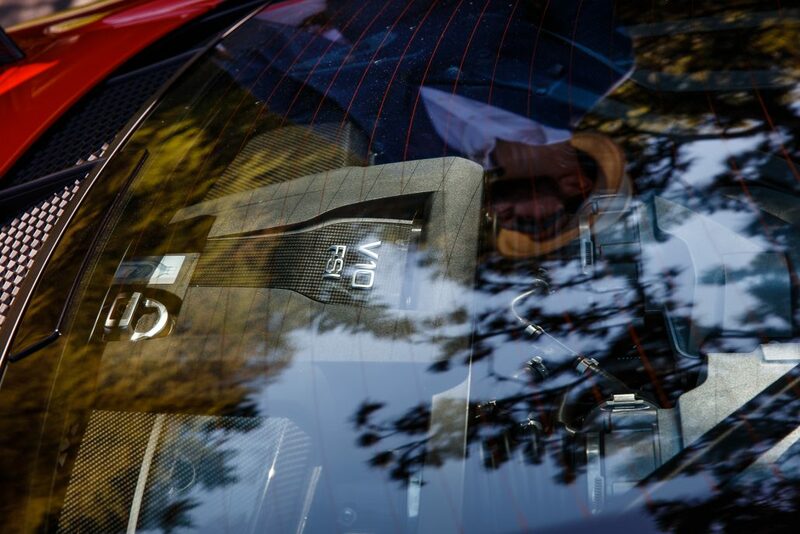 One of the fine details I recognised: you can see the engine through the rear-view mirror – astonishing! I had a great time with this car and of course a lot of fun. It’s to my surprise very comfortable to drive and pretty easy as well. From my perspective, Audi has made it into the very top cars of the world and that deserves respect. Of course the V10 is consuming a bit, and yes the car is not that cheap at 250k… You can say the that it’s difficult to reach the seat belt and small details like this but at the end of the day it was an ultimate experience! 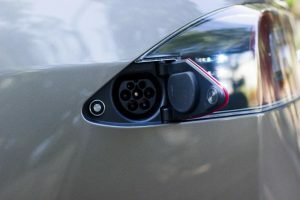 Elon Musk – one of the biggest genius and inventors of the current era – came up with an electric car that is suitable for daily use. Of course the invention and capability to build a perfectly working electric car with a range of over 200km (124 miles) was a sensation. But it’s much more than this; it’s entrepreneurial spirit. The progress and advance of Tesla’s work is a genius accomplishment for humanity. 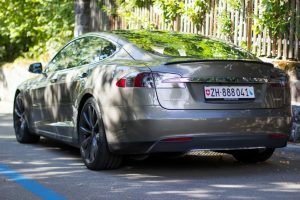 Tesla recently came up with their new model – the Tesla Model S. It’s a fully electric car with a reach up to 528km (328 miles). The engine performance is absolutely lunatic. The Tesla Model S only requires 3.0 seconds from 0 – 100km/h. 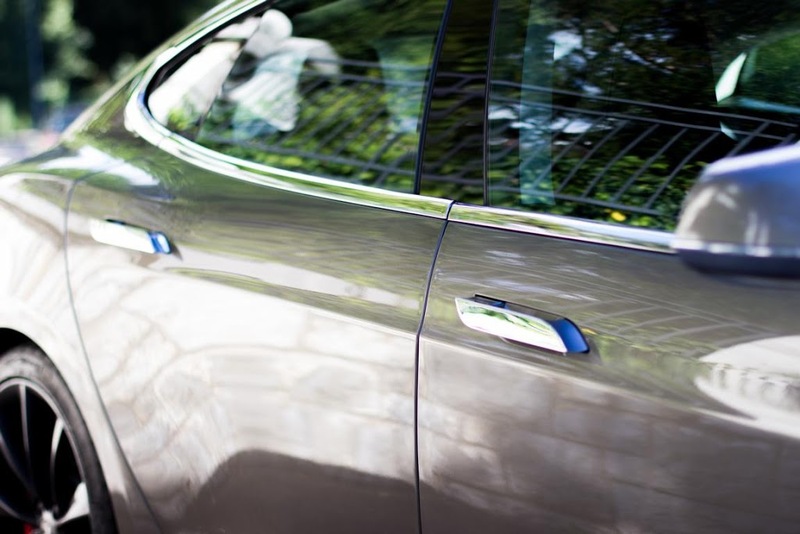 Driving a Tesla Model S is a statement. It stands for sophistication, eco-friendliness and most important: advantage. And because the Tesla doesnt produce any sound, we have decided to make our own music. Nina is a good friend of mine, and one of the most promising talents I know. Check out her insane Ed Sheeran rap! Of course, it’s a total mind change to drive such a car. Especially with a very simple reason: you can’t stop at the petrol station if you’re empty. 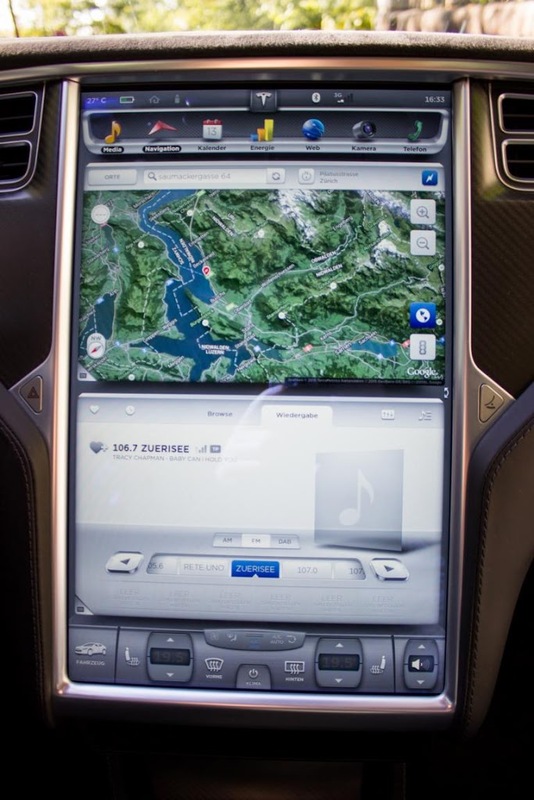 Driving a Tesla presumes a certain abilty to think and plan ahead. The easy way: you have a socket at home and you can charge your car during the night. Ideally also at your working place. The rather difficult situation: No socket at home means you have to get up earlier and refill the car at the Tesla Supercharger. The act of driving and travelling throws you into a different dimension. It’s cooler, it’s less stressed. I’m saying this because I had the impression that you win half an hour of meditation per day. Meditation in a way of pluging-in your car, go for a coffee and read the daily news. Never ever I have been less stressed on the road. You’re getting cooler with this car. 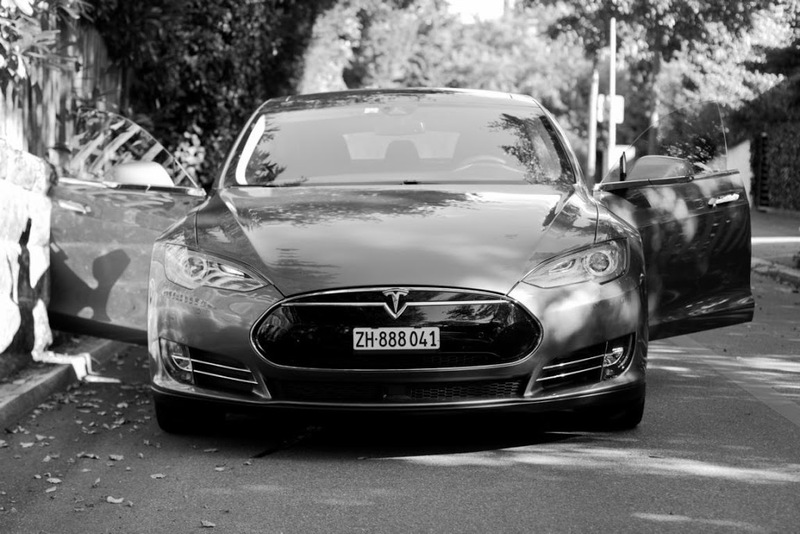 More of my wonderful happenings during the 4 days I drove the Tesla S: when ever I arrived somewhere, it took seconds and 5-10 people were standing around the car to ask questions and test drive. And it’s actually what I ended up doing. I took time for each person to answer all they wanted to know and show all of the technical supplies in this car. On Saturday morning, I accidentially crashed into a housewife’s breakfast, half an hour later all of them wanted to take a ride with me. What a crazy, lunatic car. I had so much fun and loads of fantastic emotions. And trust me if I tell you that I’m a petrol head… I love loud and fast cars, but still I’m very confident with this electric option. So let’s talk about some more technical refinement. It’s a four-wheel drive, perfect for the mountains and skiing. The model S has space for the whole crew of Noah’s ark. There are two(!) boots, the back one is just huge. There is an extra large touch screen in the middle of the cockpit, you can navigate simply everything there. All sort of disturbing and unnessecary buttons have been removed. The front board shows you all kind of information like speed, consuption and much more. You’re considering to buy it? BIG YES from my side! Firenze – one of the most beautiful cities in the world. A place where romance, delicious food and Italian history meets. The ideal place to travel with your partner and spend an astonishing time. 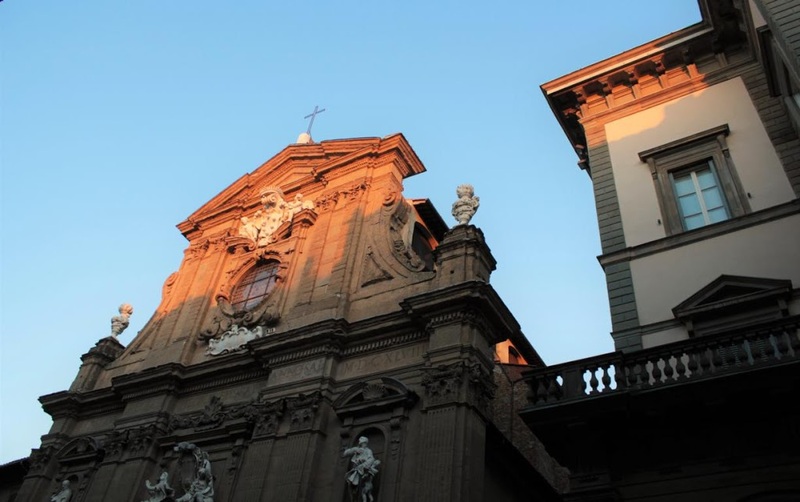 Florence is the capitol of Tuscany, a big wine region in the north of Italy. 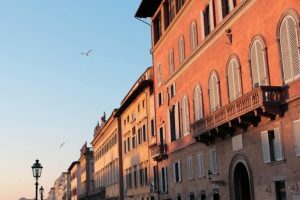 Once you arrive, you start to understand why a couple of the biggest genius in human history have spent quite a some time in this fabulous city (Leonardo da Vinci, Michelangelo, Galileo Galilei are a a couple of examples). 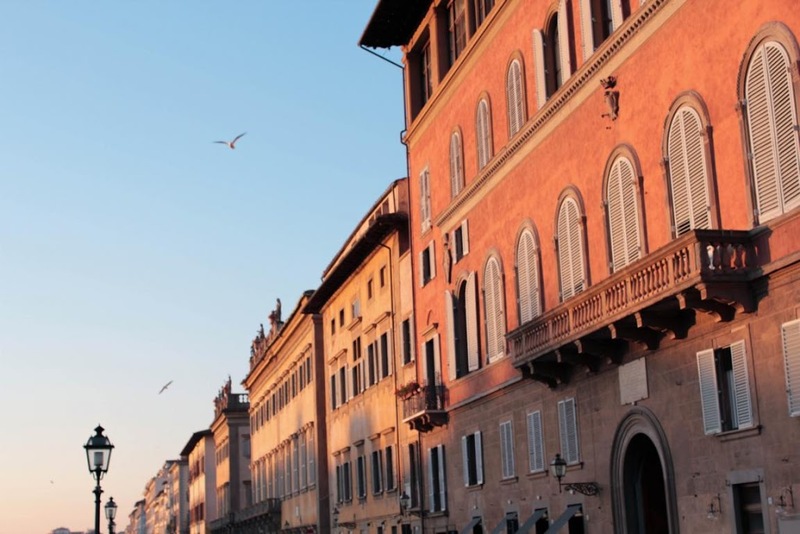 The buildings are shaped in Renaissance architecture – what a lovely place. 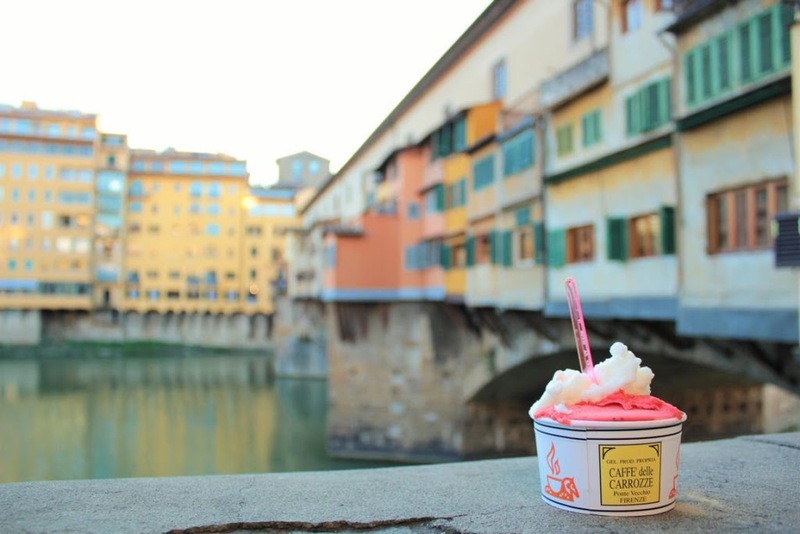 Ponte Vecchio is the only bridge that survived the 2nd world war. Today it’s mainly used to sell jewelery (made this one with the world famous gelato). No doubt it’s already a handsome place to visit, but there is more to tell. 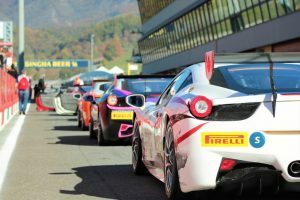 Ferrari is organising races all over the globe and the finali mondiali at the mugello race track took place. The hotlap I made was one of the ultimate experiences in my life. The driver pushed the car the it’s limits, it was better than any rollercoaster! Unfortunately there are no pictures of this experience. What a fantastic atmosphere. It was my first time to be part of such a race. There are Ferrari cars literally everywhere. 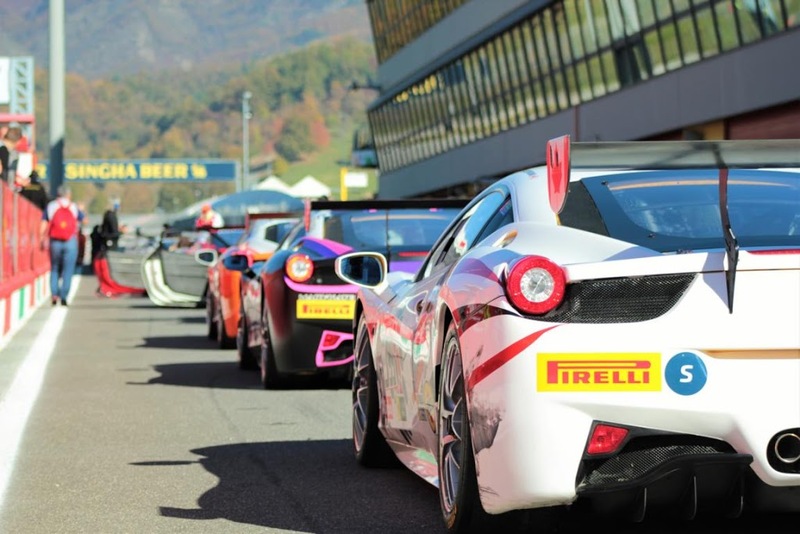 The race and the whole show perfectly reflects the passion and brand-mania for Ferrari. There are flags all over the place and pretty much everyone has a Ferrari logo on the jacket. It was extremely hot (in November), noisy and super crowded. It’s a spectacular event and thanks to the Hublot crew we had a great program and loads of cool ‘behind the scenes’ options you defintely don’t get as a normal visitor. 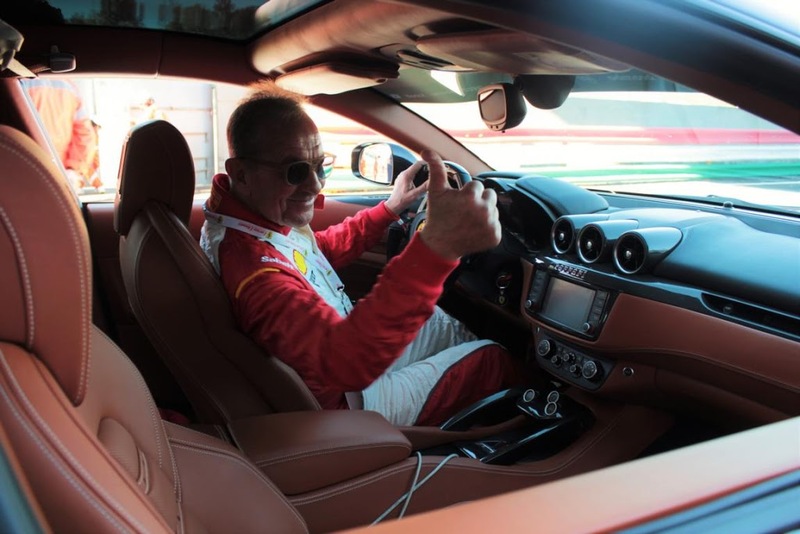 I met a real Italian Gentleman – Beppe Schenetti. His whole charism and warm oppenness to everyone is the Italian way and I love it. 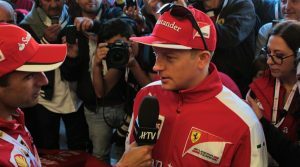 Another highlight of my journey was to meet Kimi Räikkönen & Sebastian Vettel. The places were so packed with journalists from all over the world – I was not able to take a good catch of Sebastian Vettel. 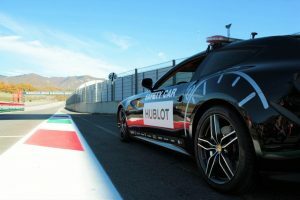 The two Formula One drivers passed their trainings on the track. Ferrari’s pit stop, crazy how quick! 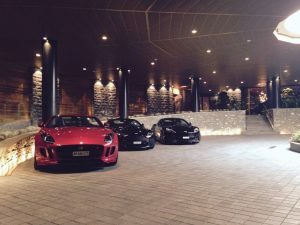 It was a wonderful sunny Friday morning in September – autumn was already showing it’s first glance – when we packed the Jaguar F-Type S and drove up to Gstaad. 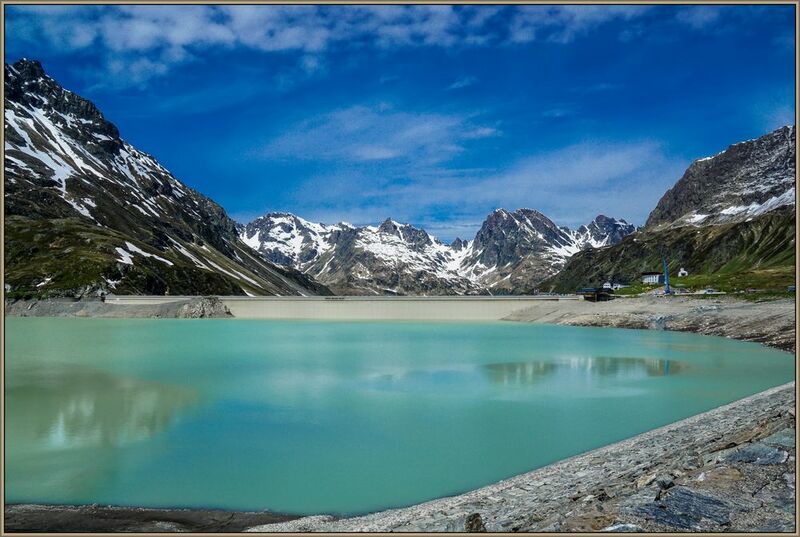 A perfect chance to film a part of this trip and give you an idea of Switzerland’s diversity, endless perfection of mountains & lakes. 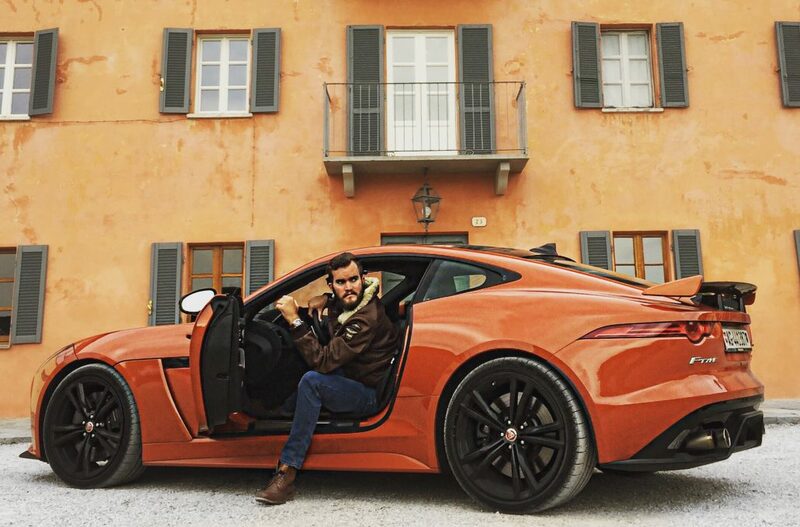 When you’re on the road to one of the leading Hotels in Europe with a Jag, you totally transform into James Bond. Over the movie history of James Bond, there is no doubt that he is a perfect gentleman. 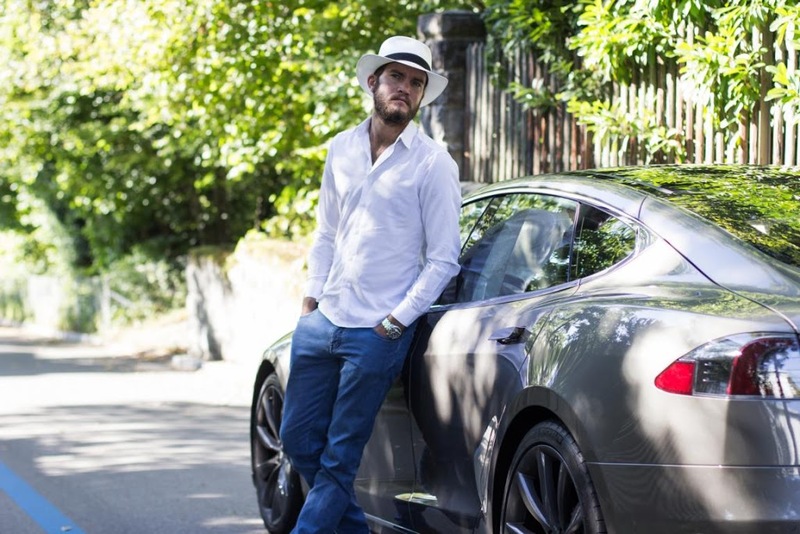 And a gentleman drives a proper car (Jaguar is a supplier since years). And if you park your car in front of the entrance (after driving through a tunnel), I think this proofs it again. 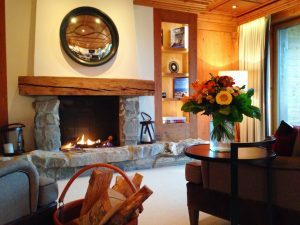 The fireplace turns the whole room into a very cosy living atmosphere, such a romantic place to spend holidays with your partner. Another cool fact of this fabolous place is the crazy art they’re presenting. There is art everywhere, the owner shows his affinity for modern art. The service and attention we have received during this week-end is simply unrivaled. The staff is fluent in German, English and French. Each single employee is very friendly and serves you with all the duties you need. 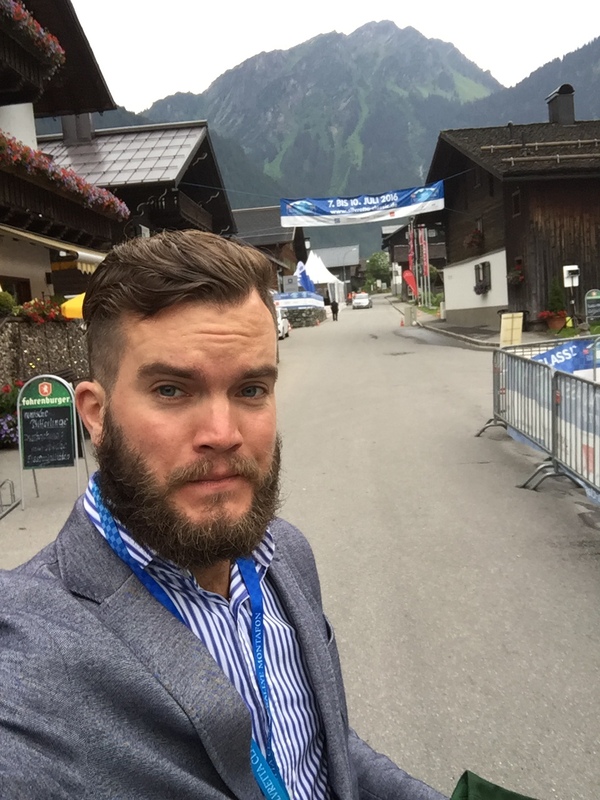 Eric Favre, the general manager, welcomes you personally – I highly appreciated this attention. 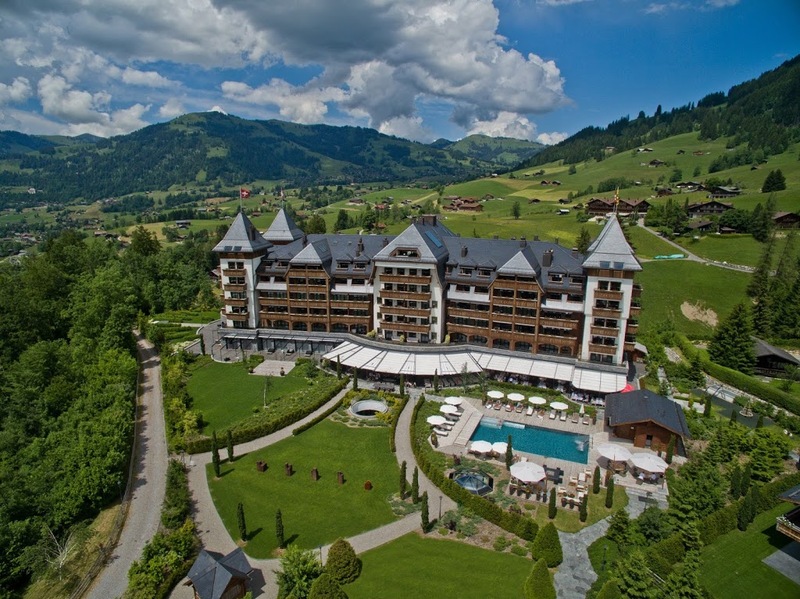 What an outstanding experience, thanks to The Alpina Gstaad and the staff for these wonderful days. I will return to this place for sure. The only downside I can find is the spa. The men & women’s sector is separated and that simply means you cannot spend sauna or steam bath together as a couple.